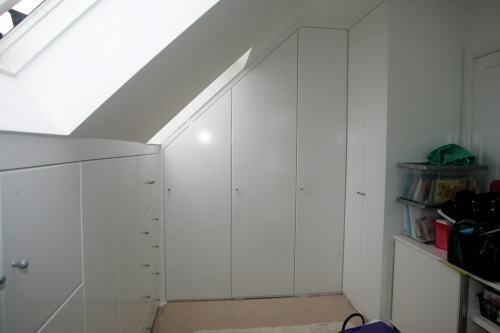 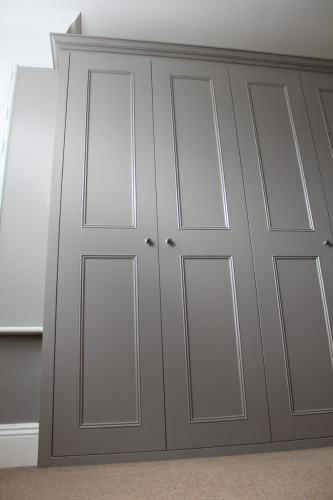 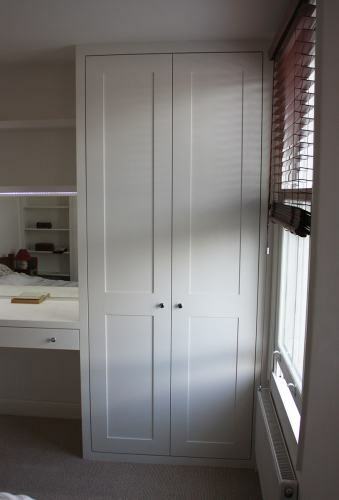 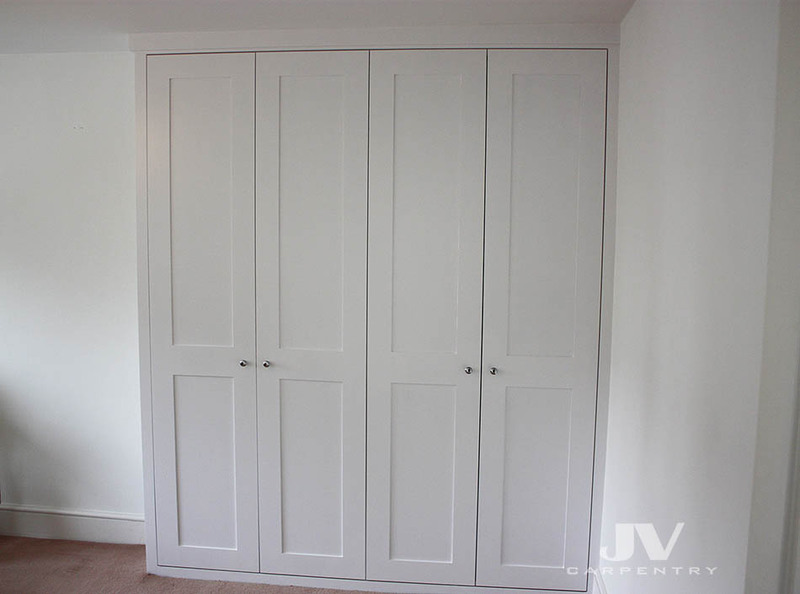 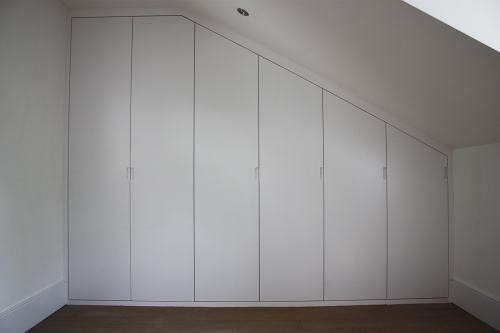 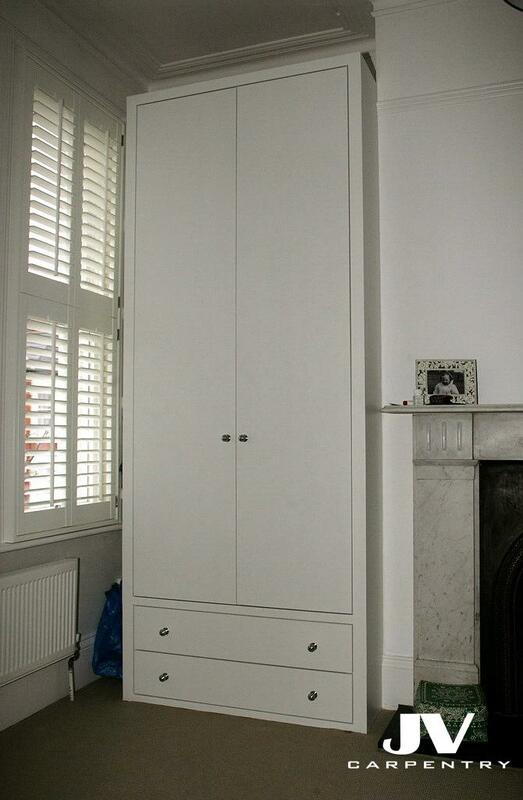 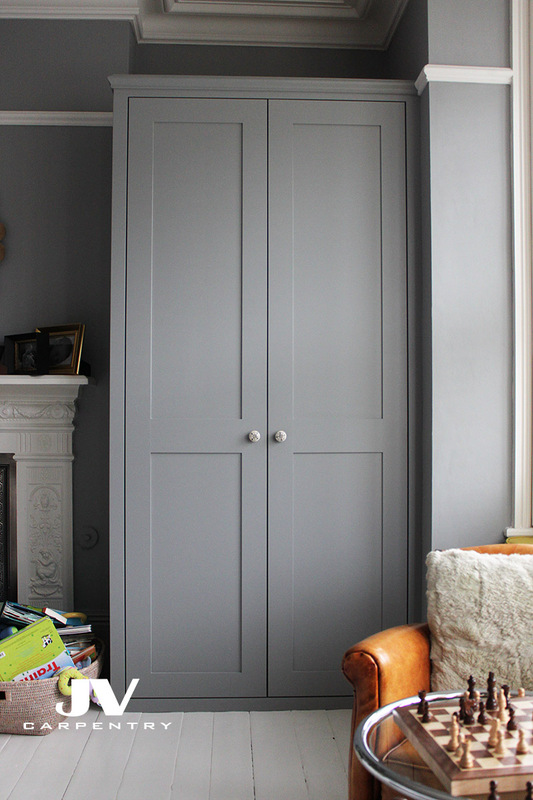 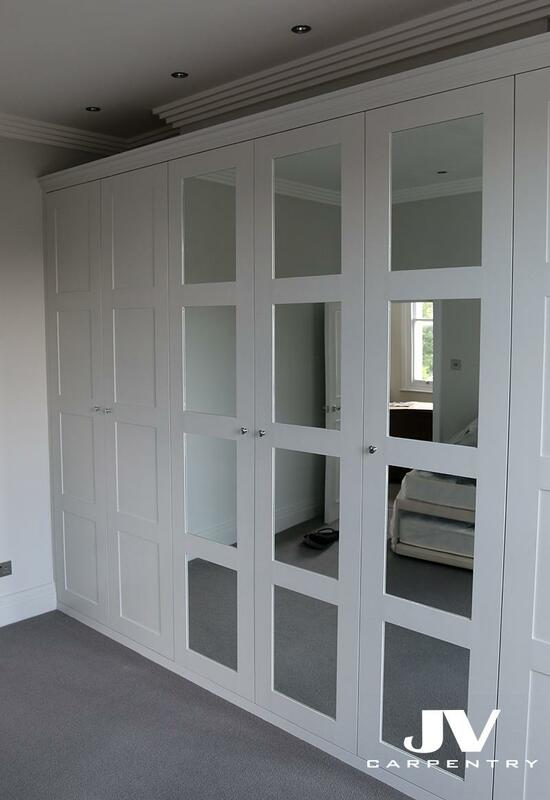 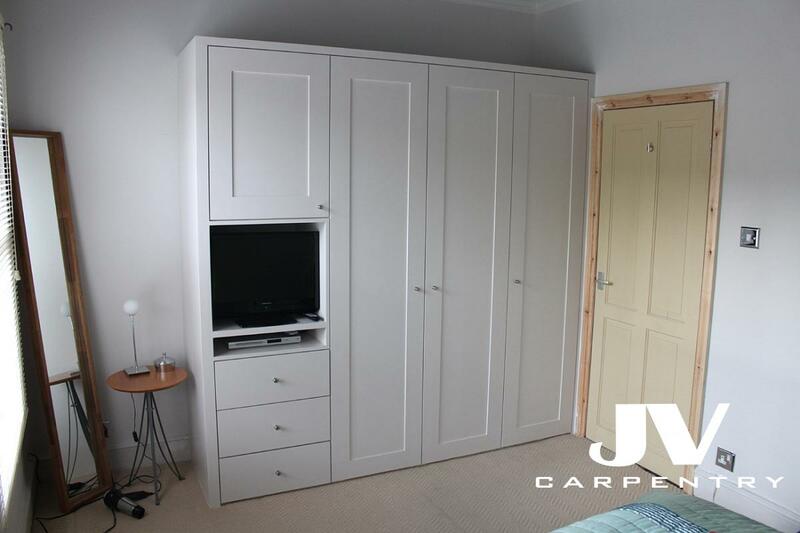 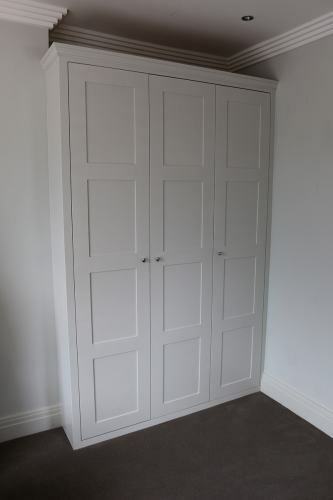 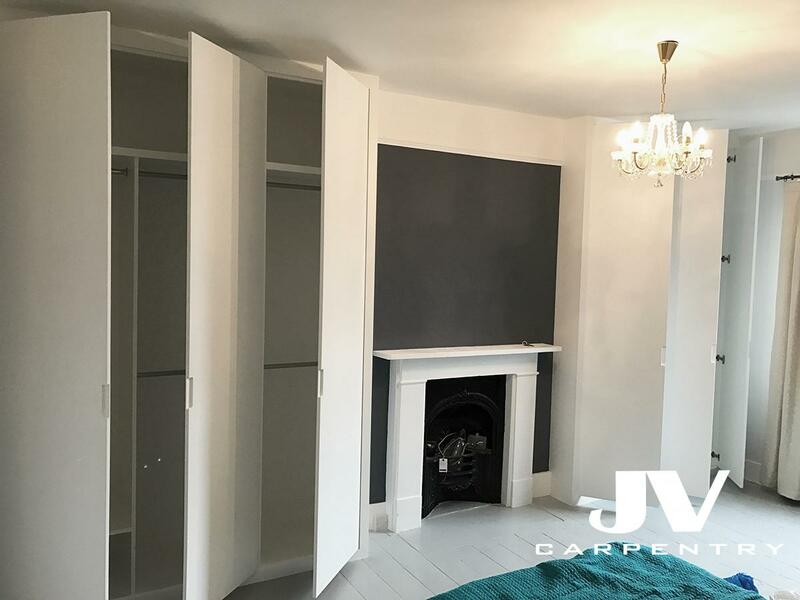 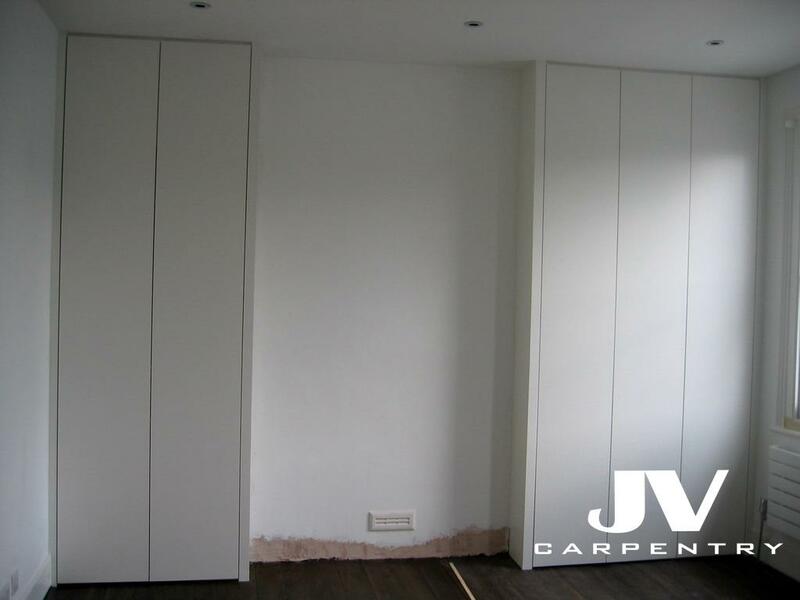 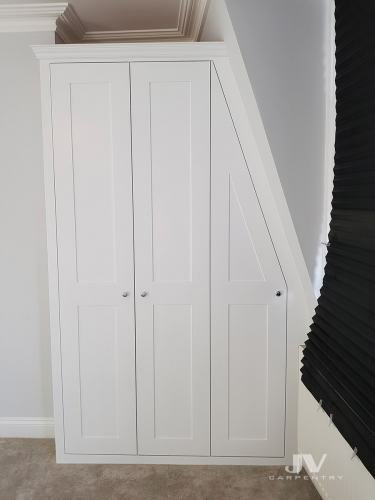 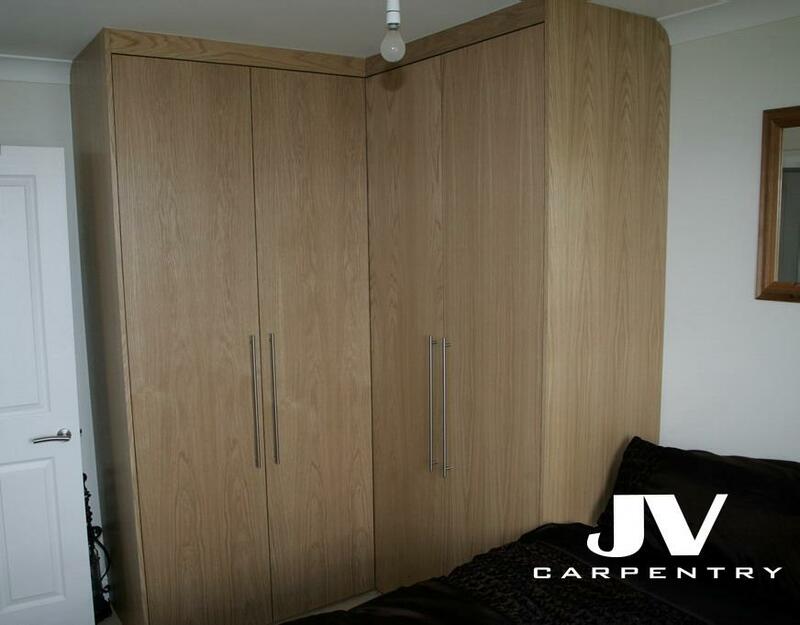 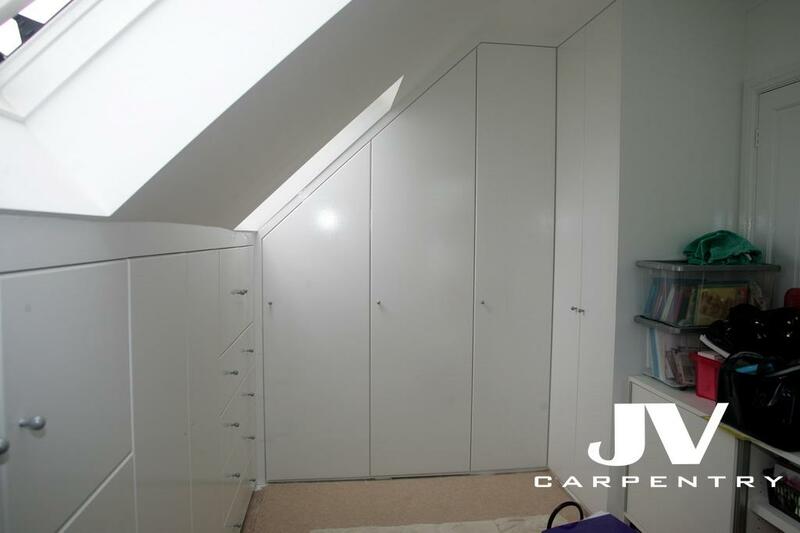 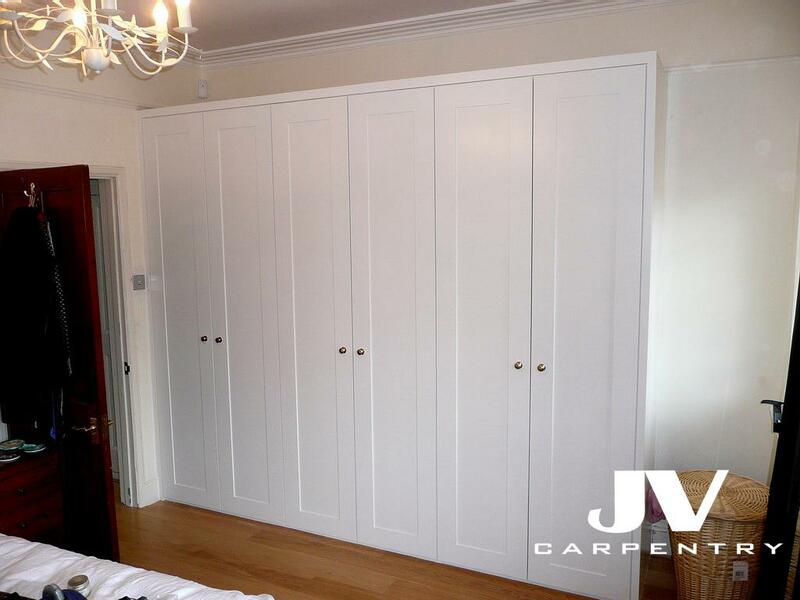 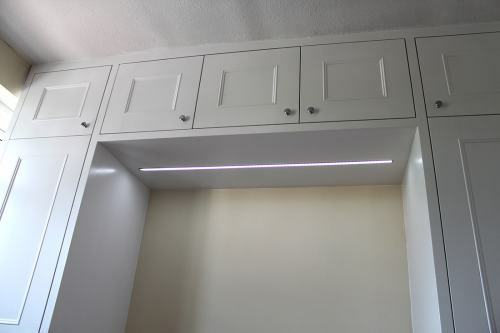 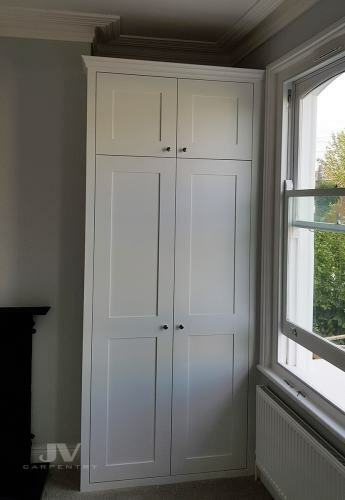 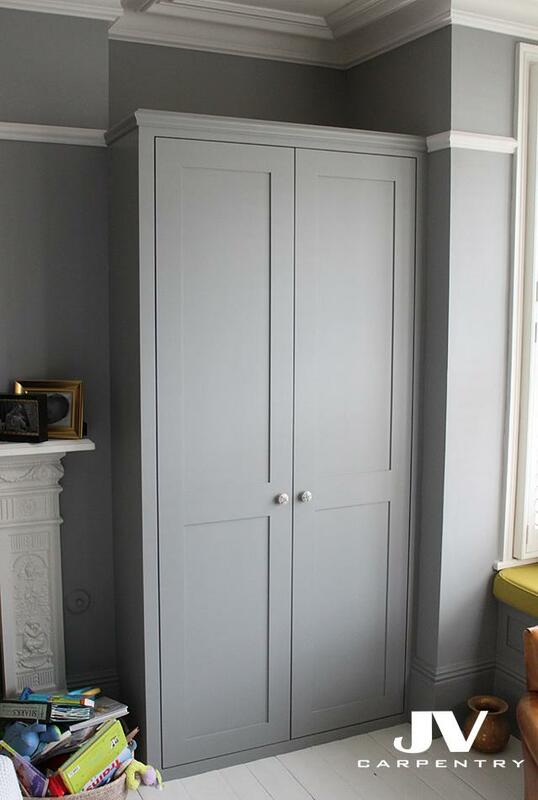 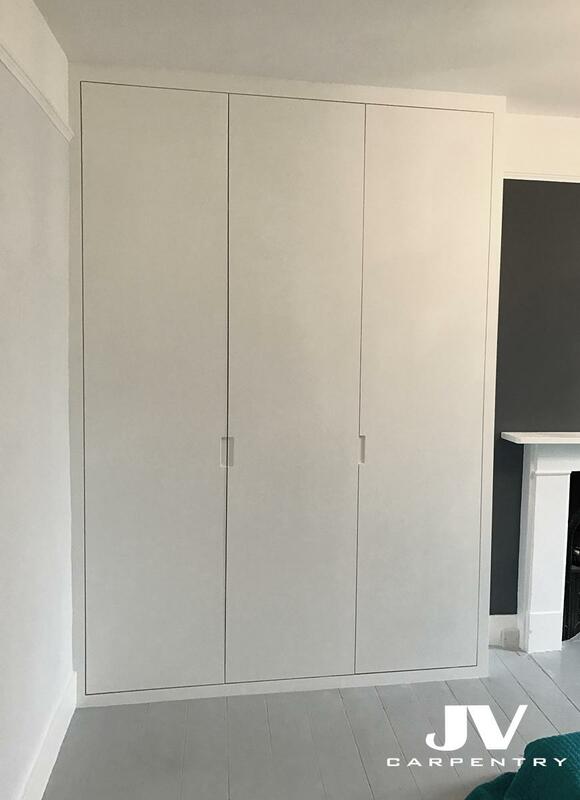 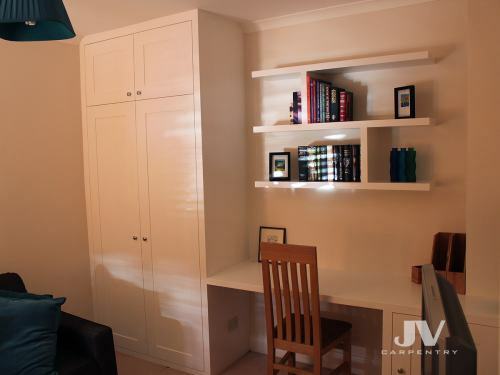 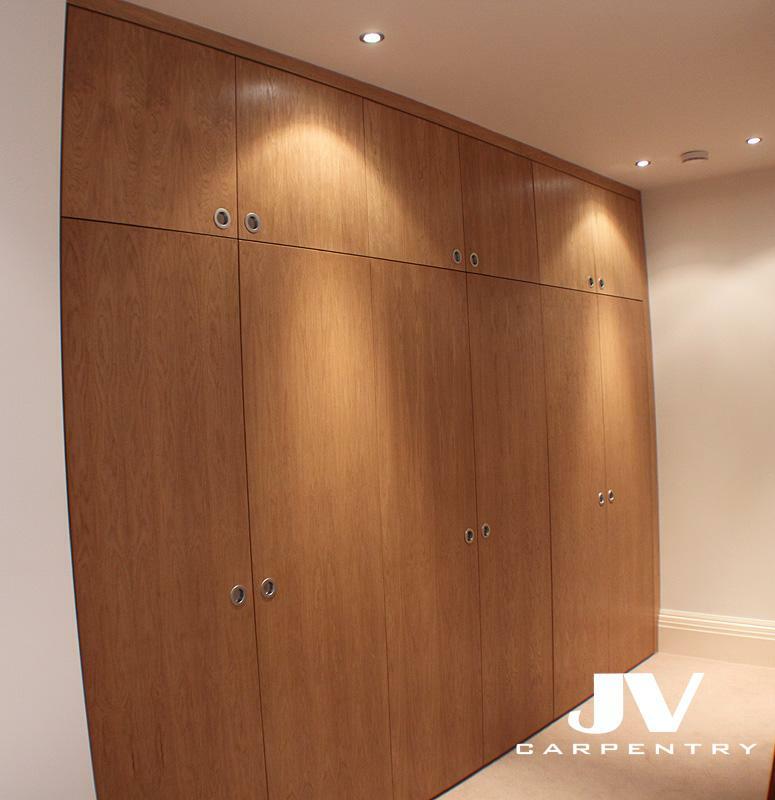 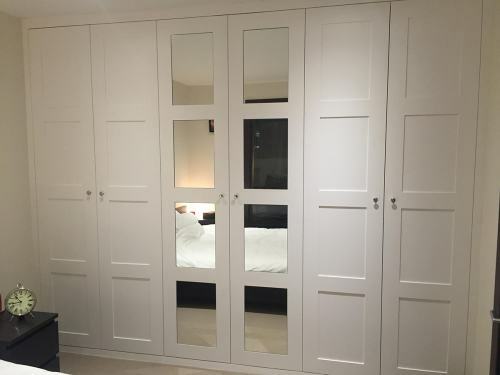 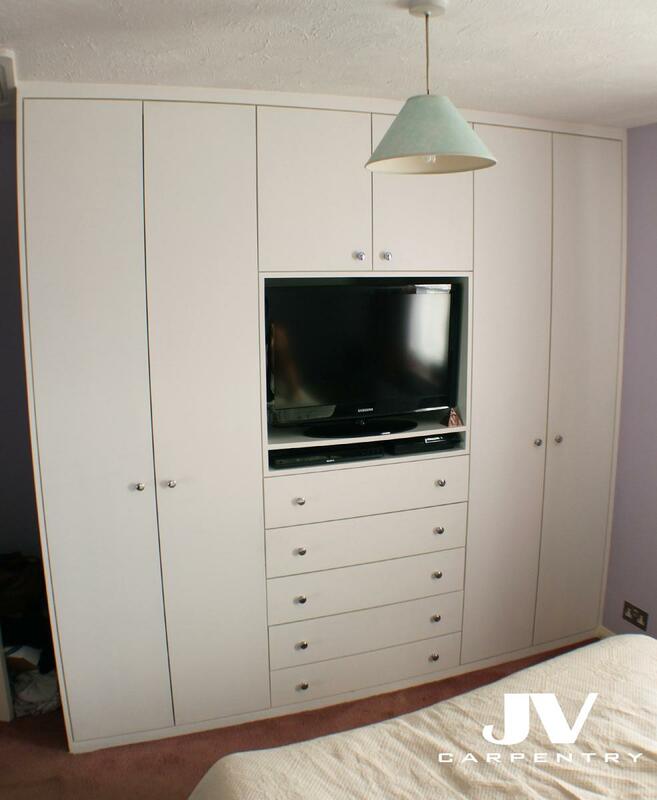 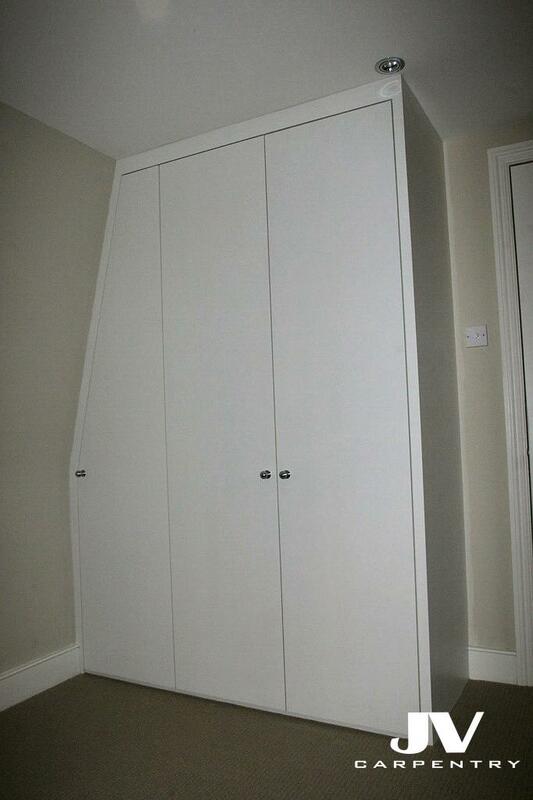 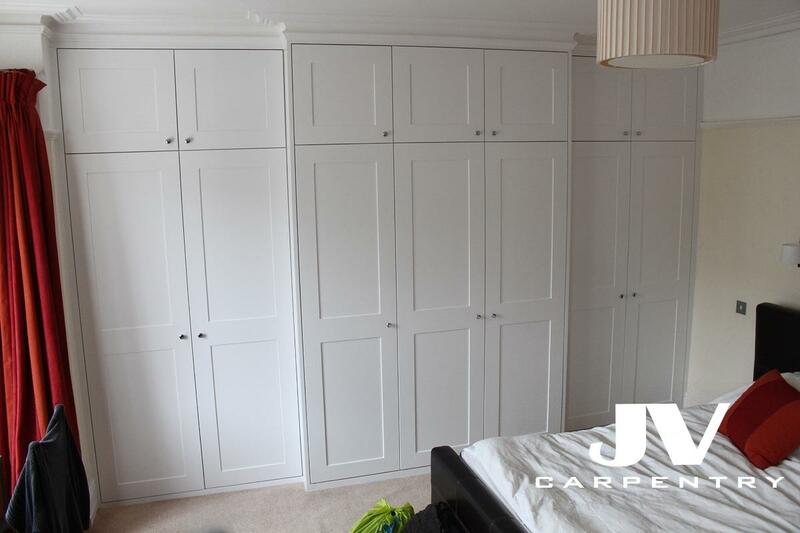 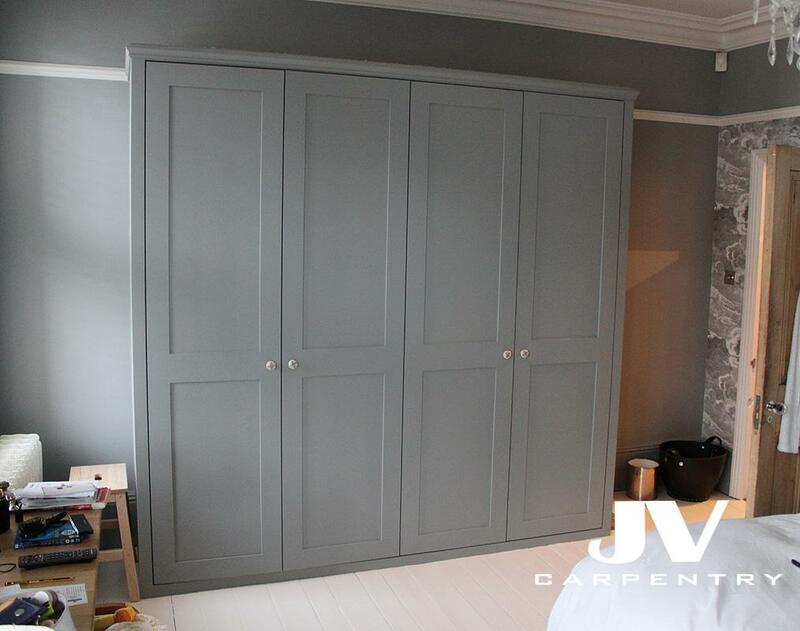 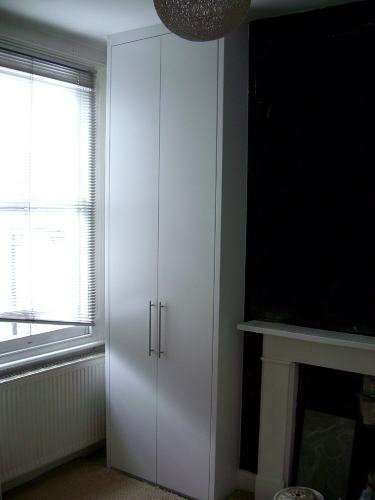 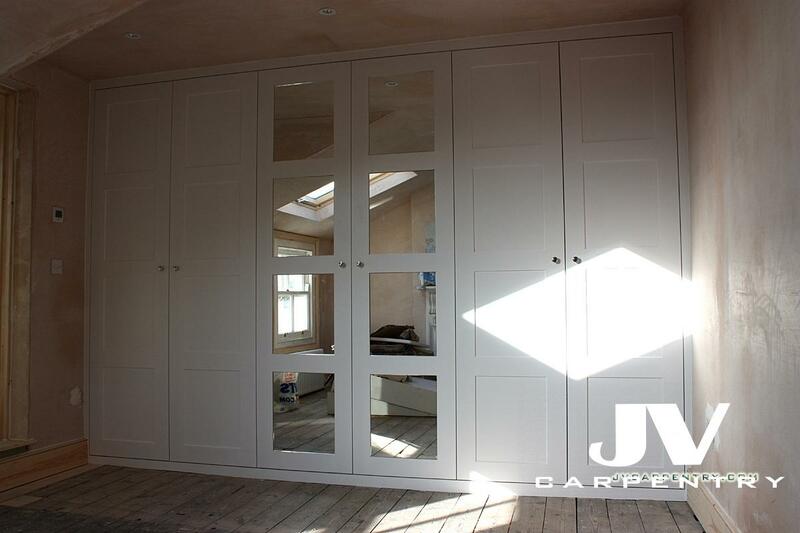 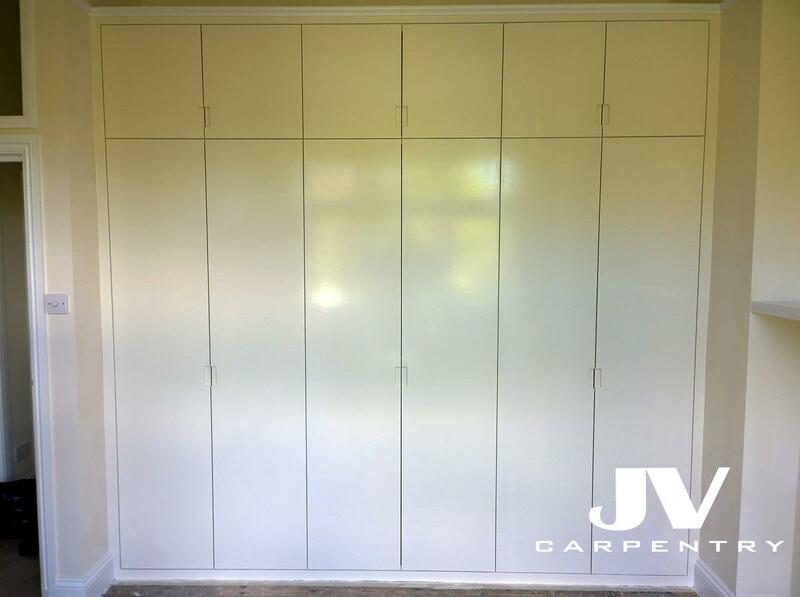 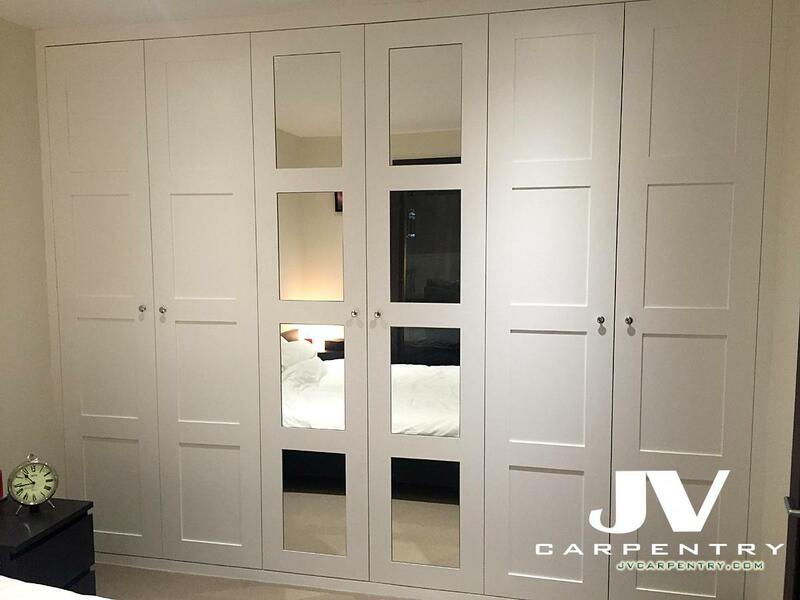 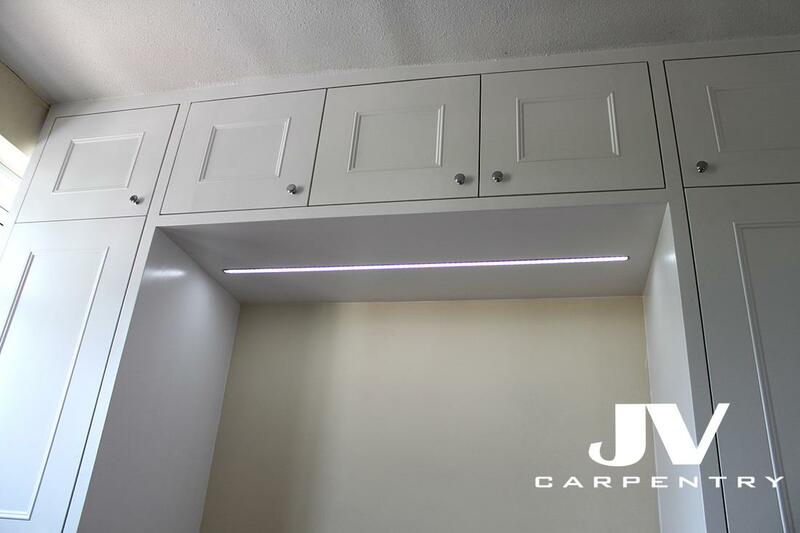 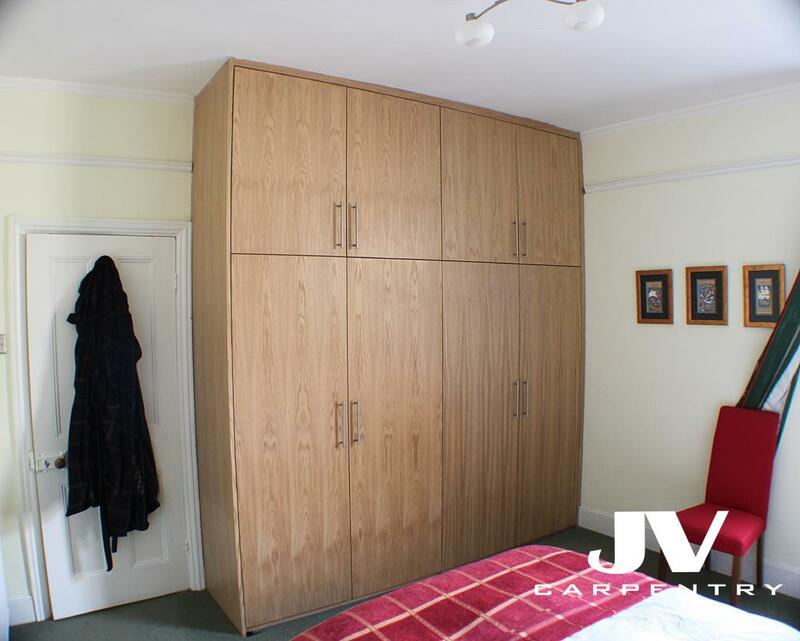 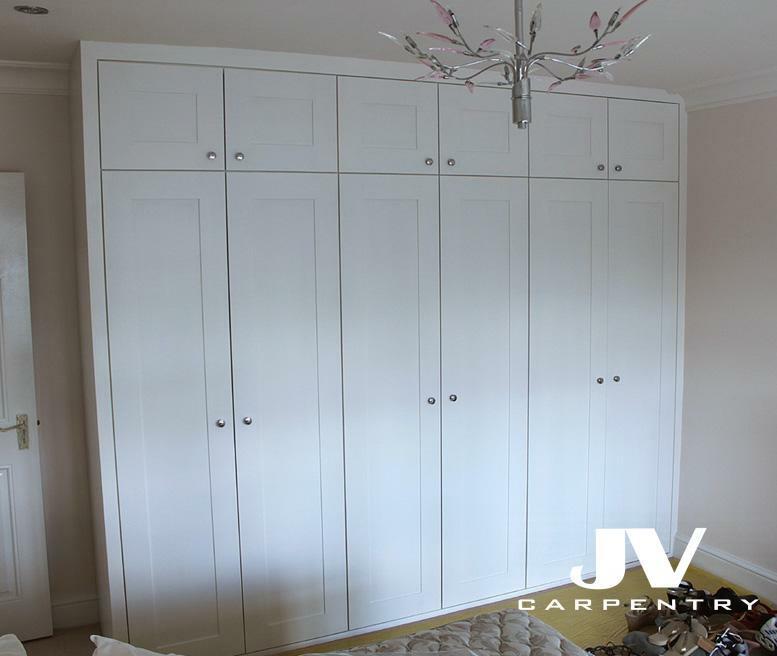 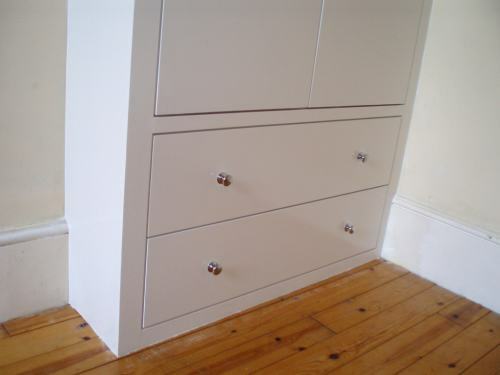 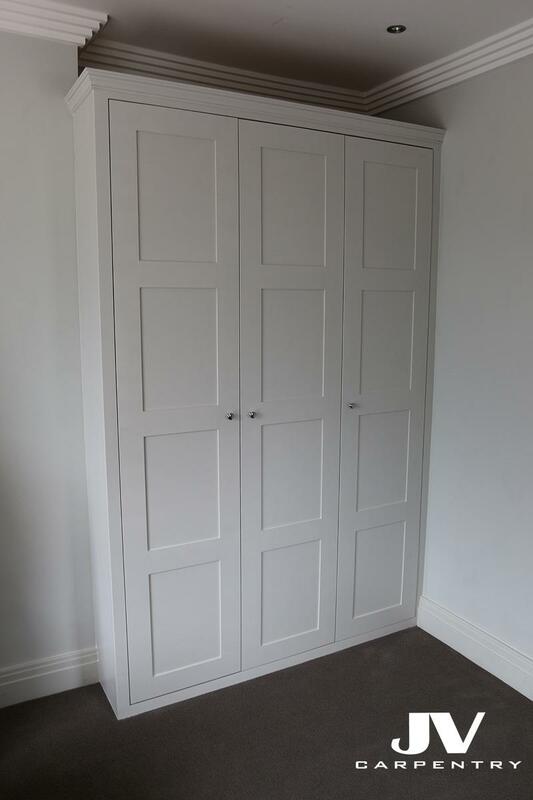 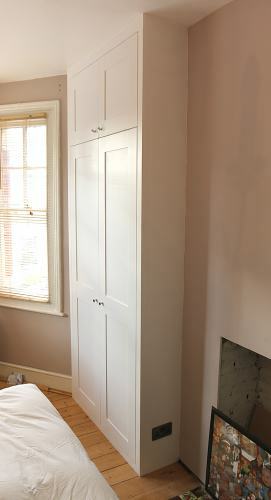 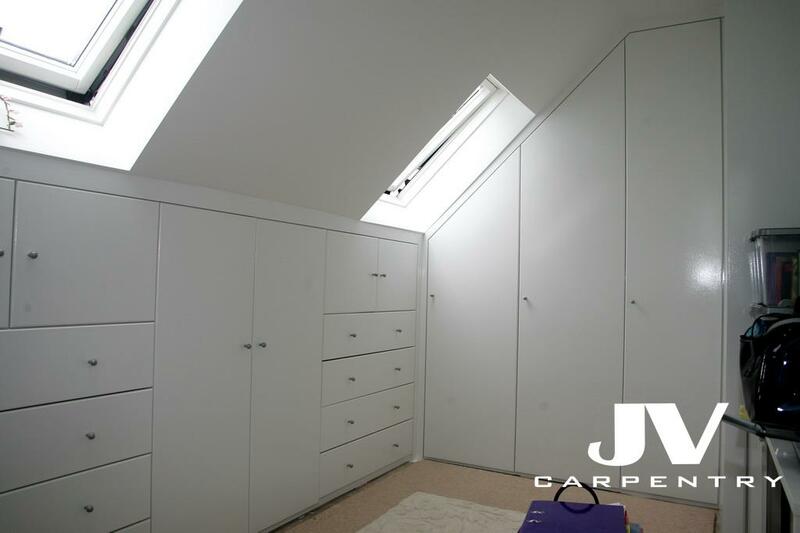 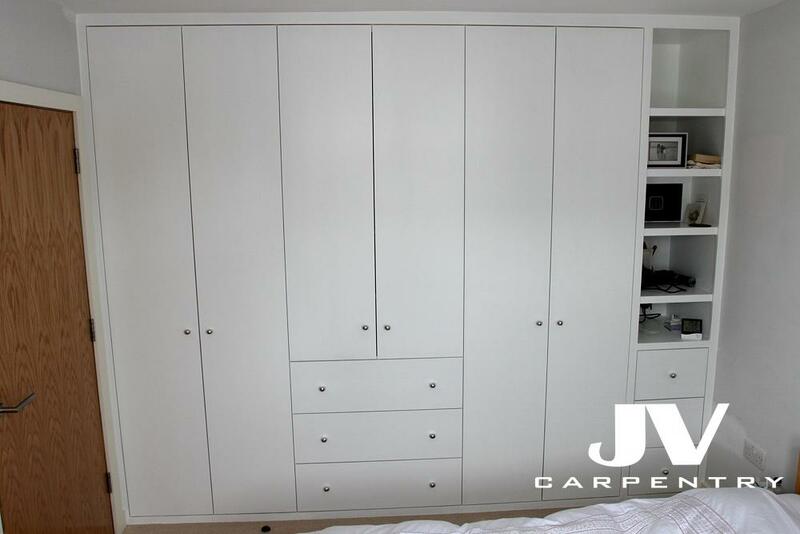 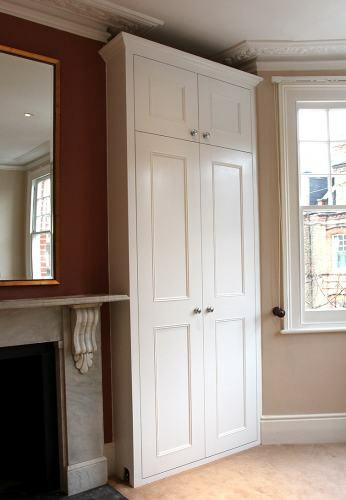 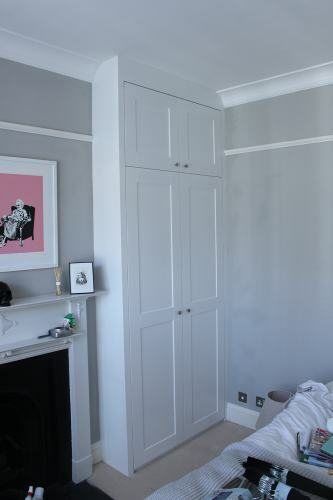 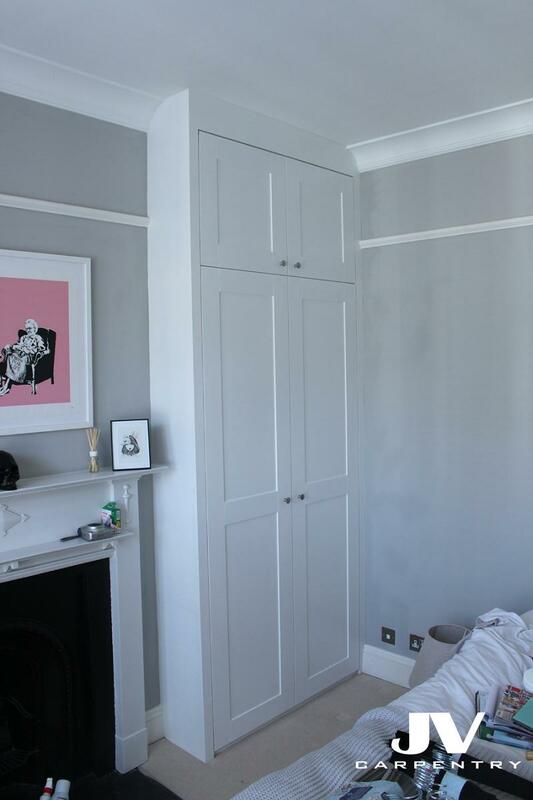 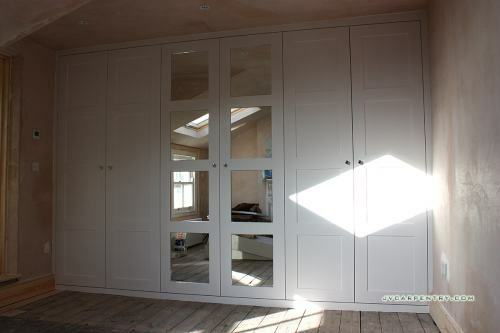 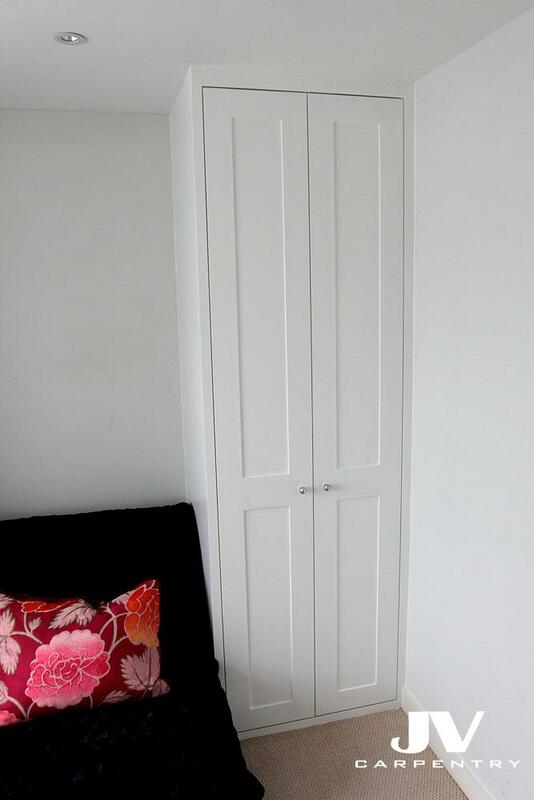 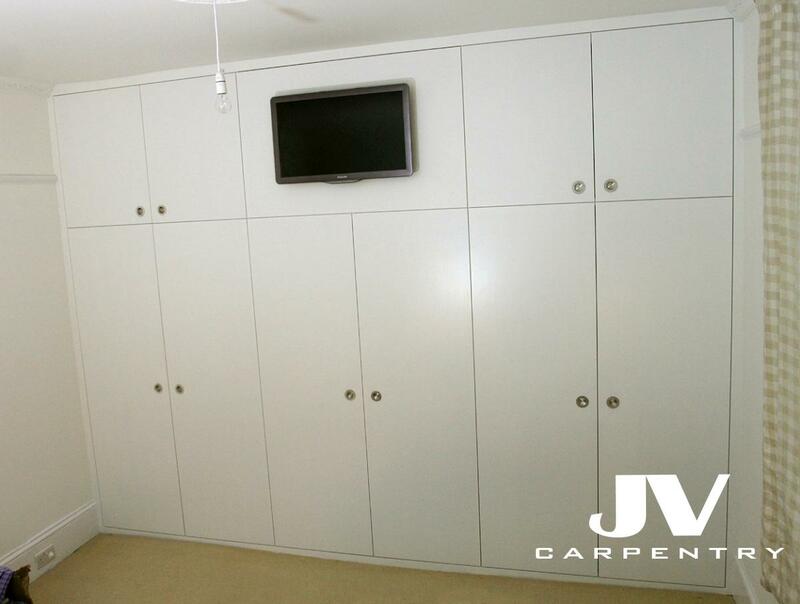 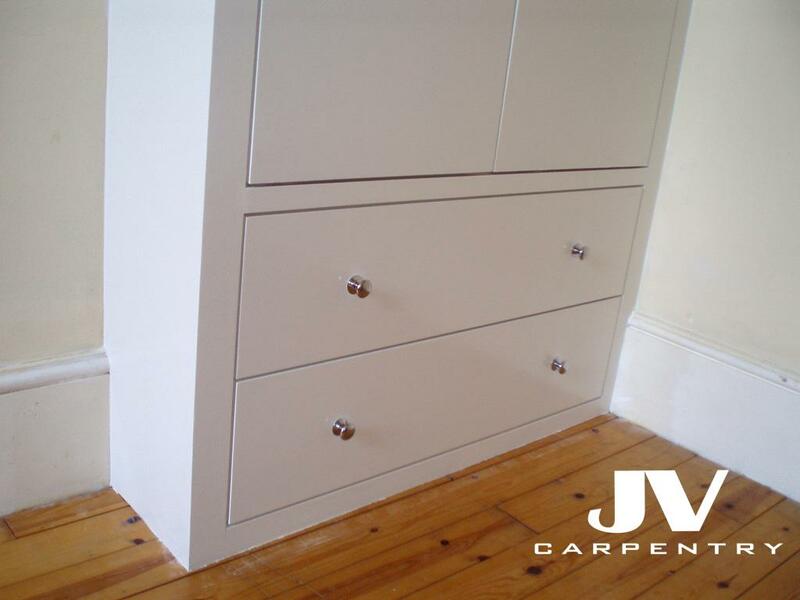 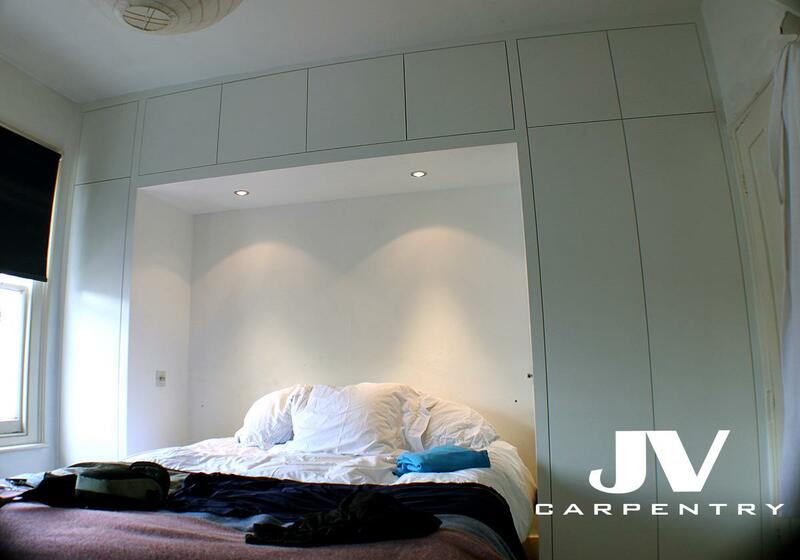 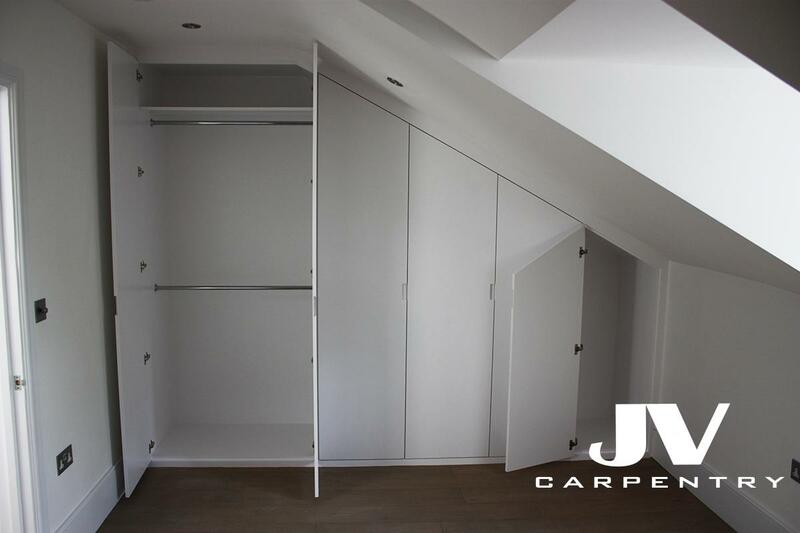 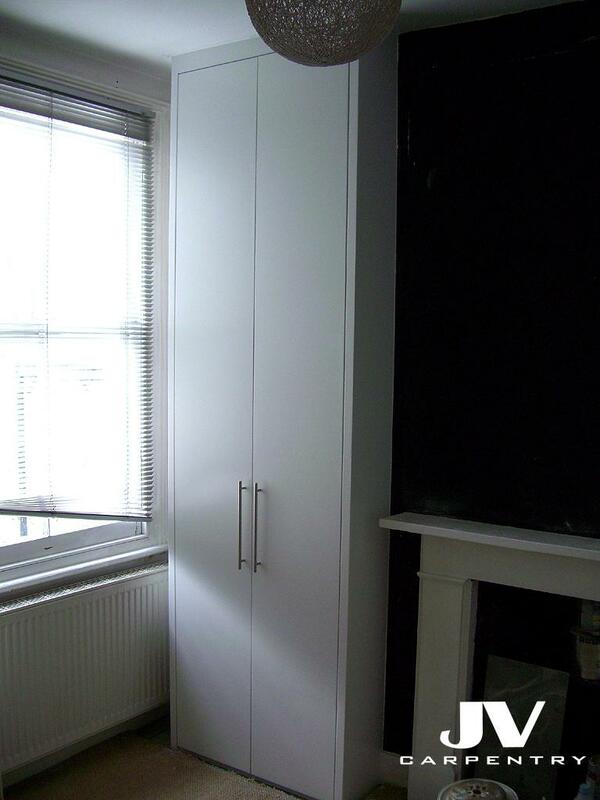 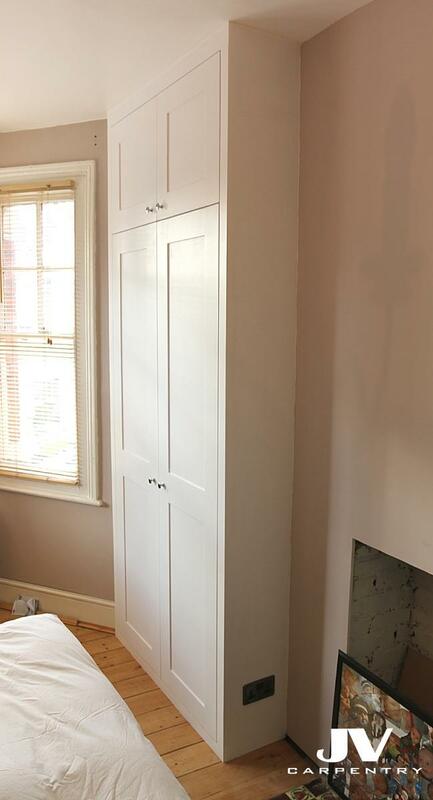 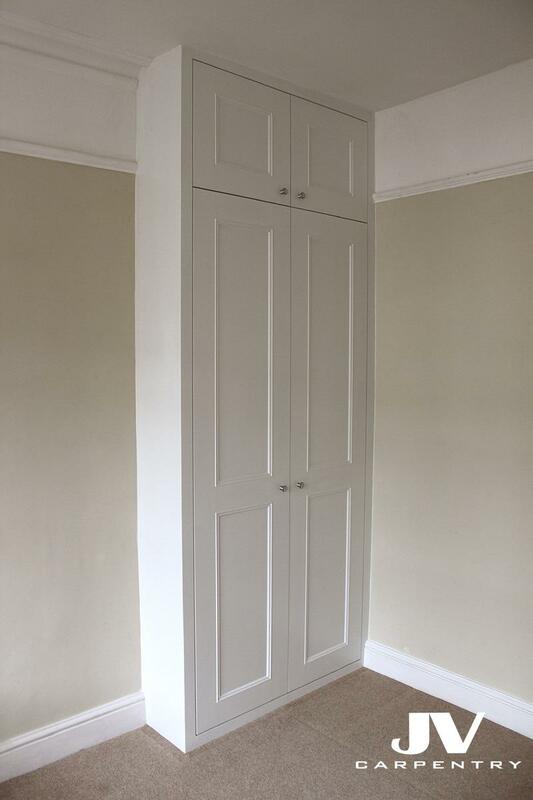 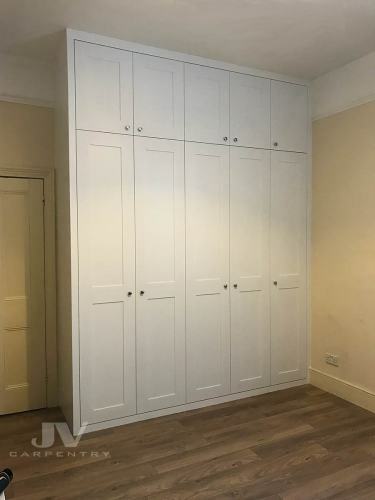 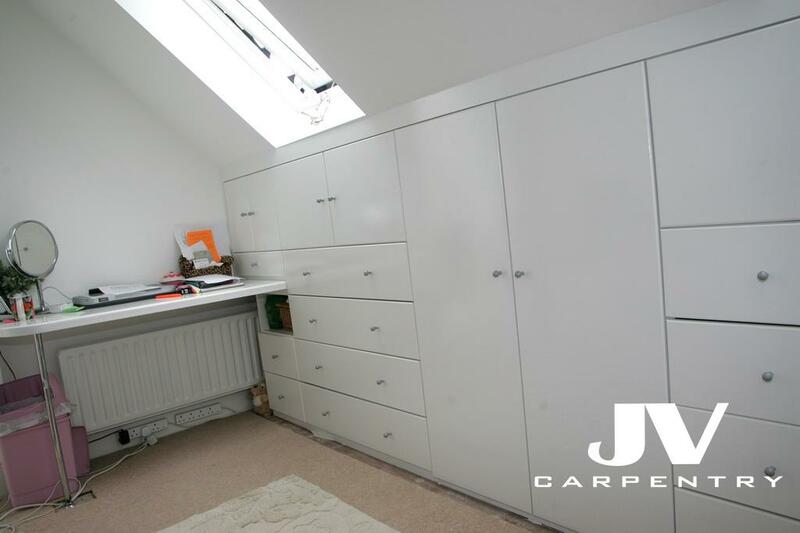 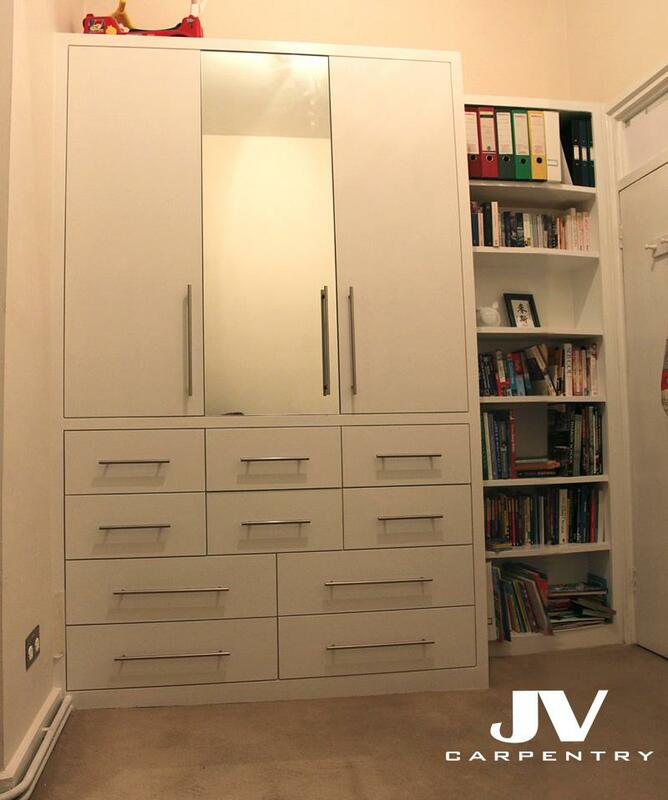 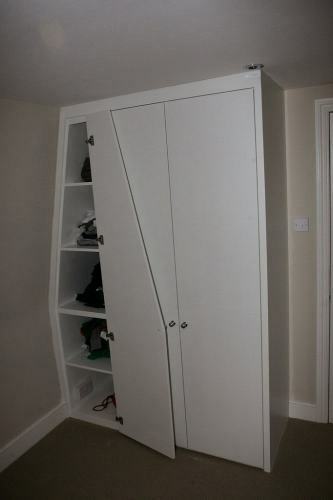 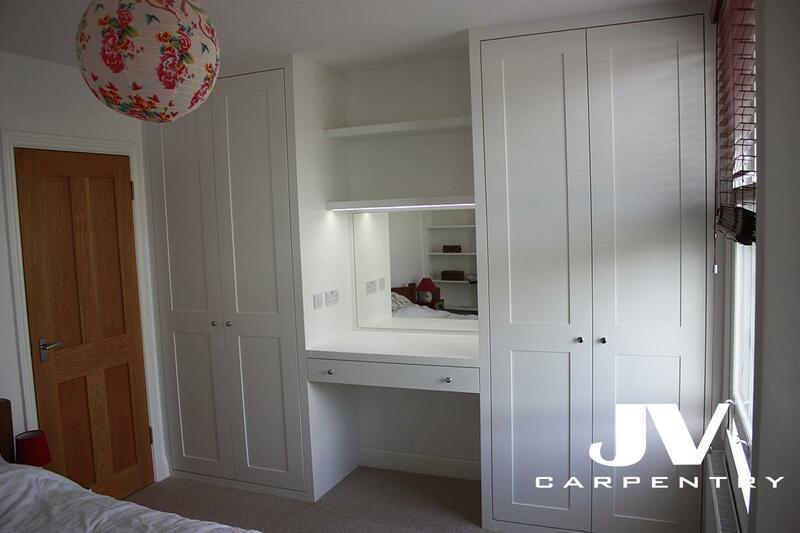 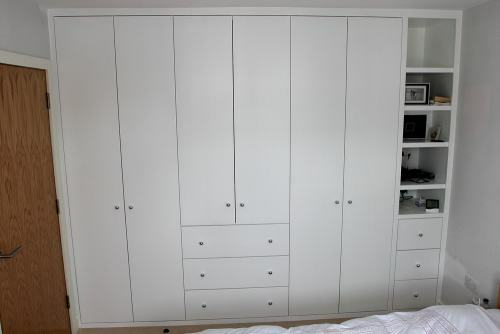 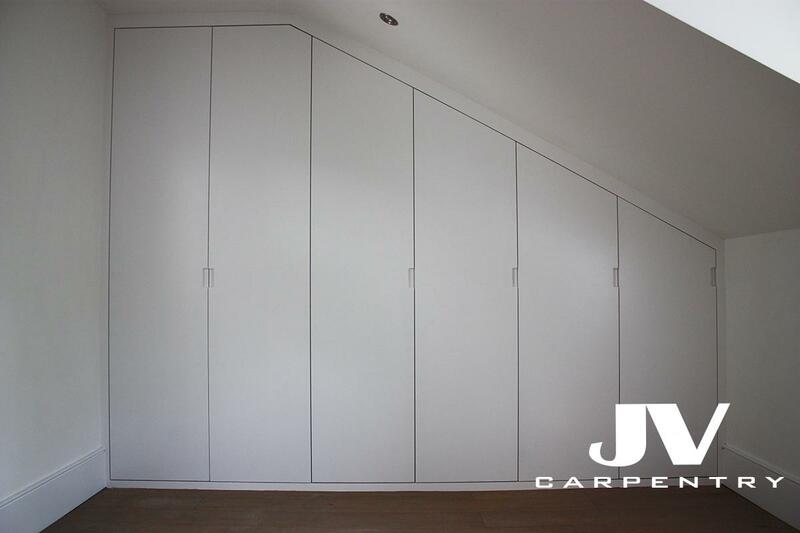 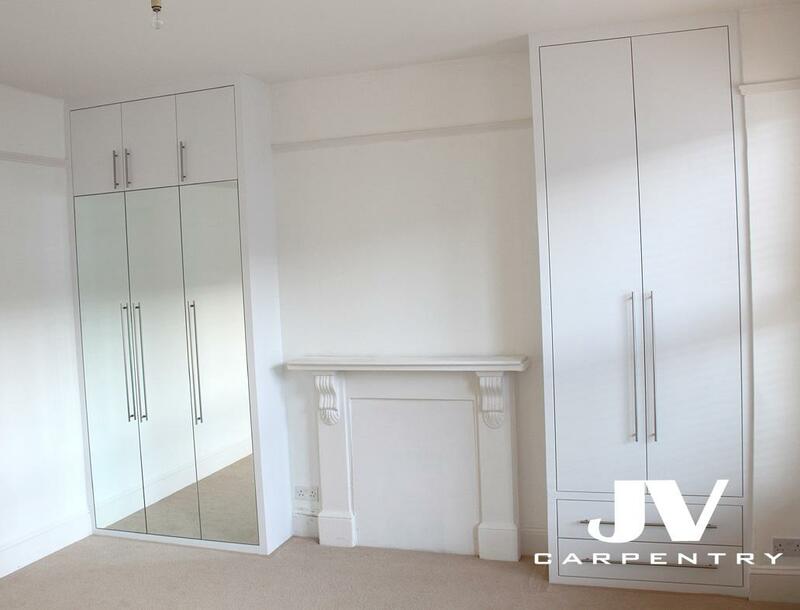 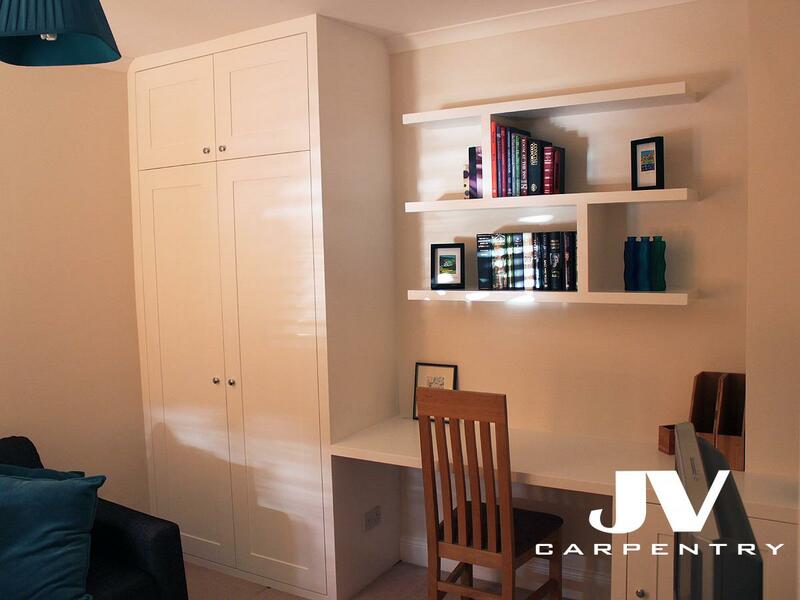 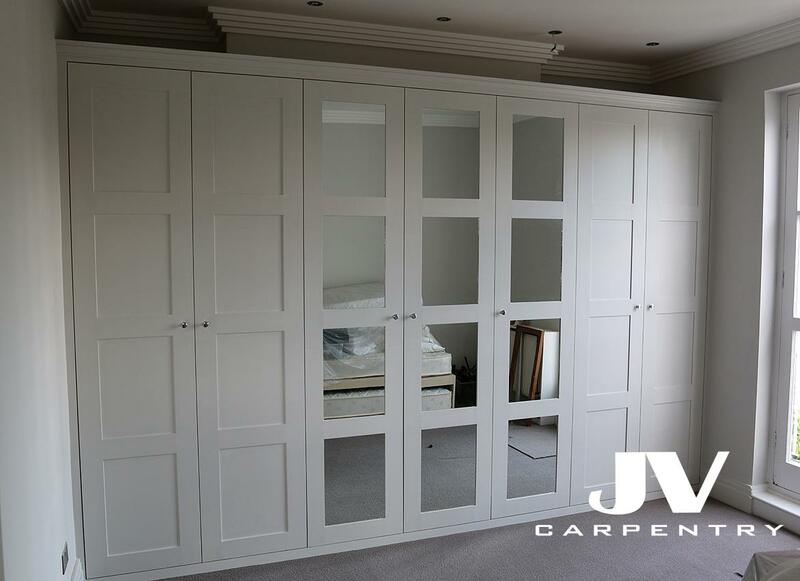 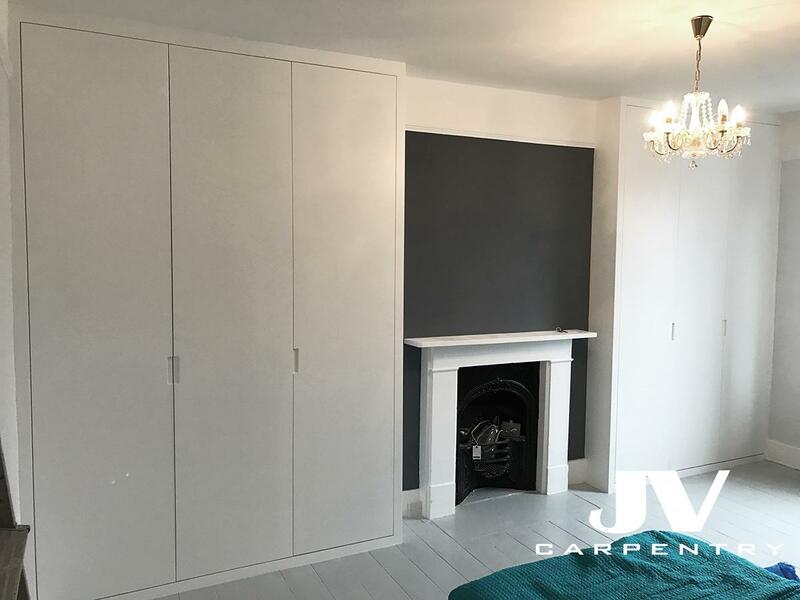 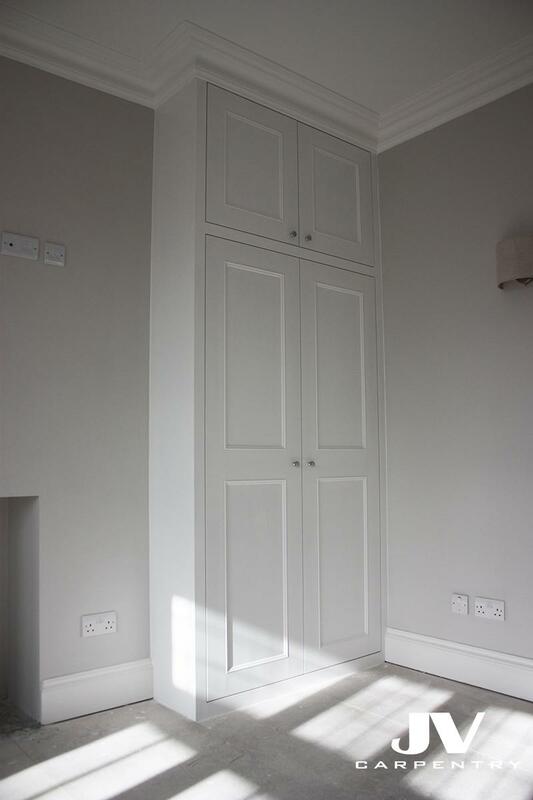 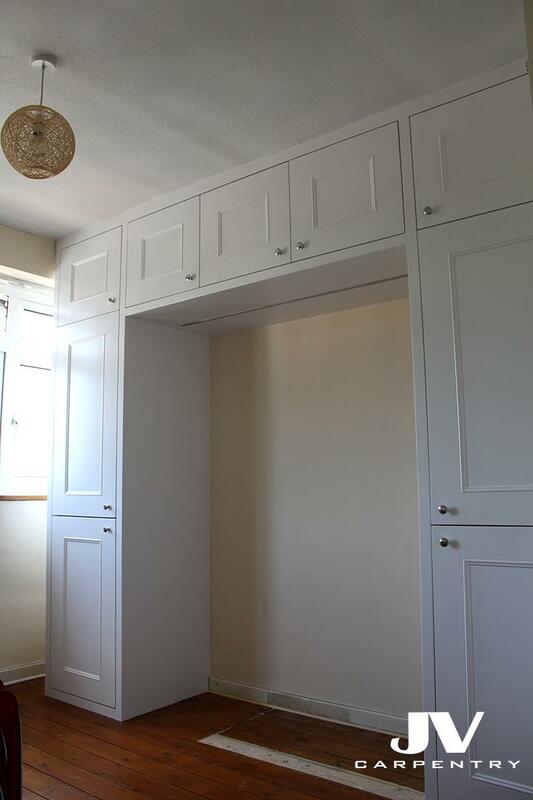 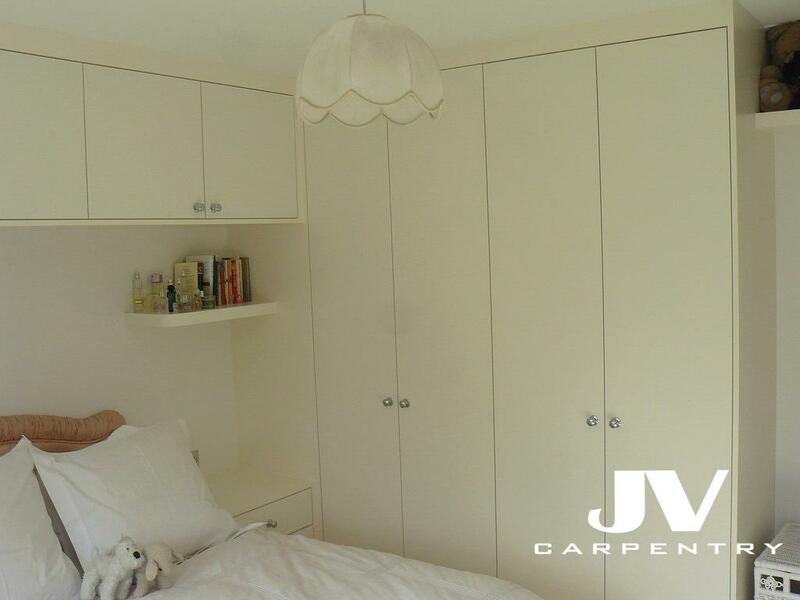 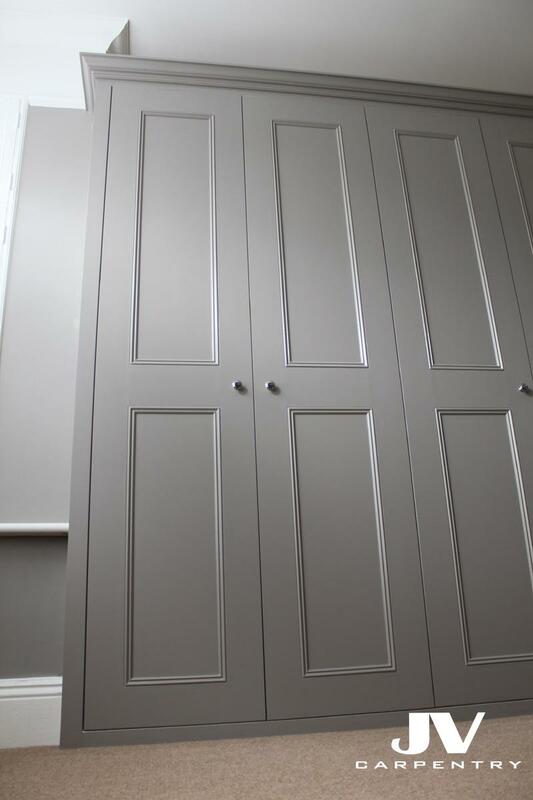 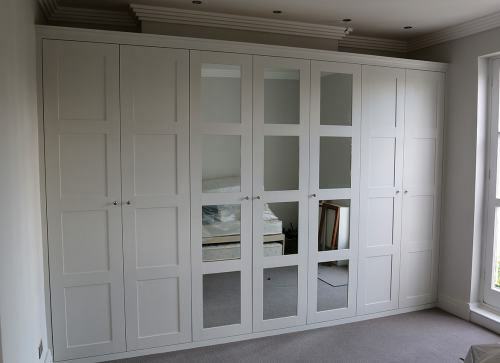 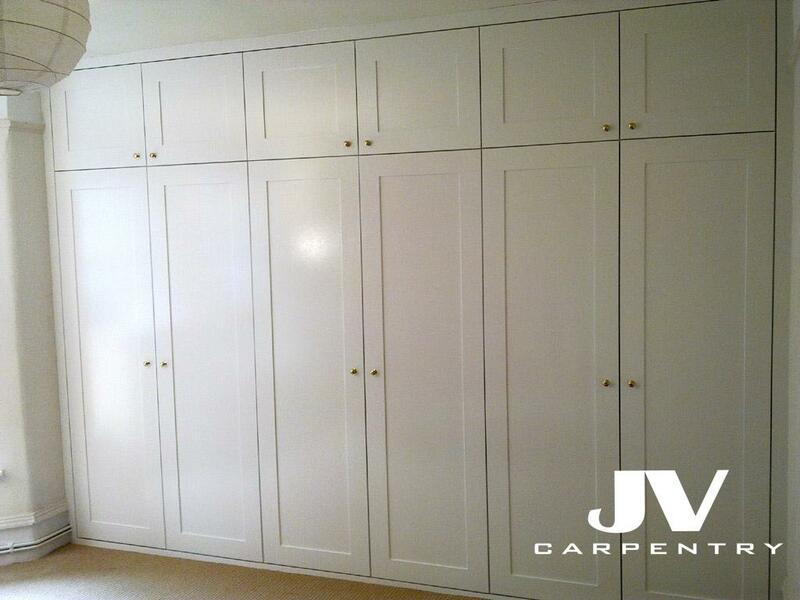 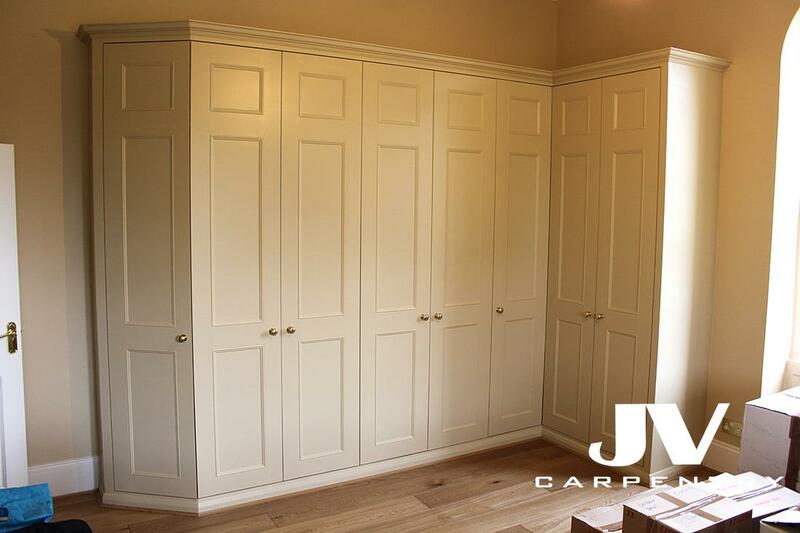 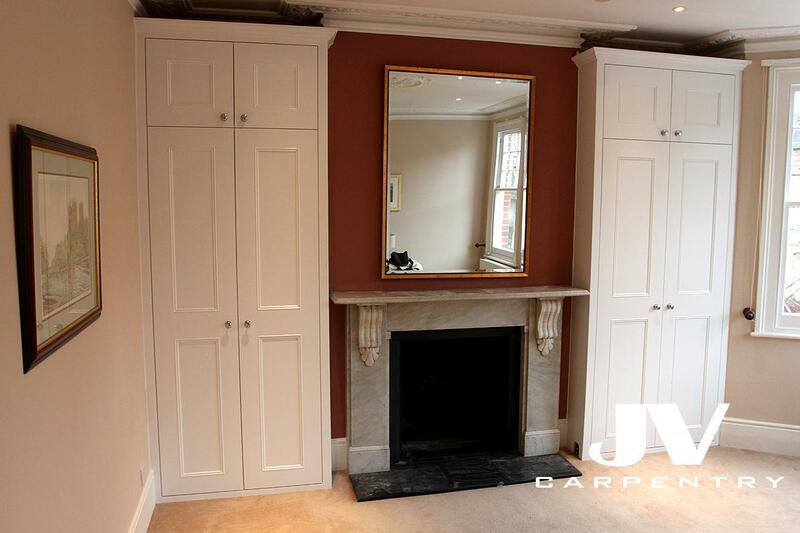 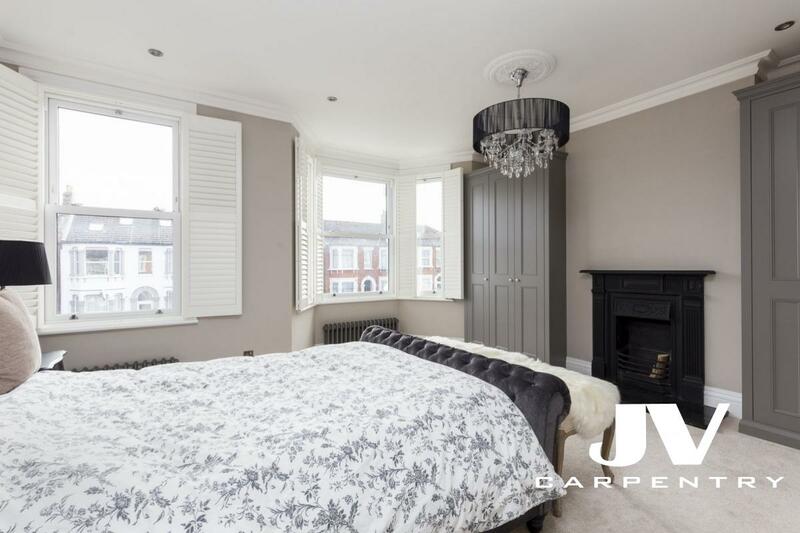 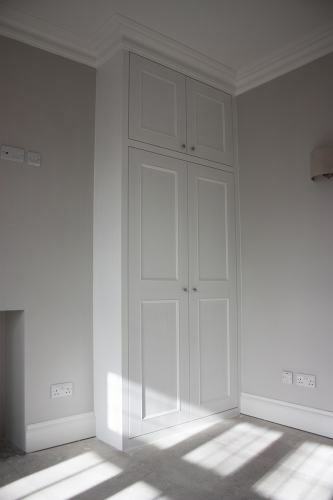 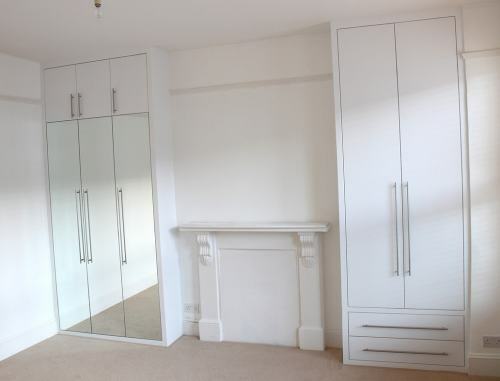 At JV Carpentry, we provide bespoke fitted wardrobes for London and surrounding areas, so if you require extra storage, we have great solutions for you! 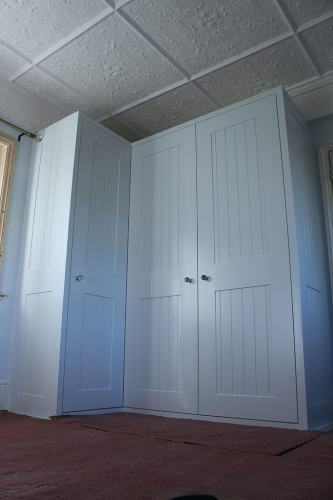 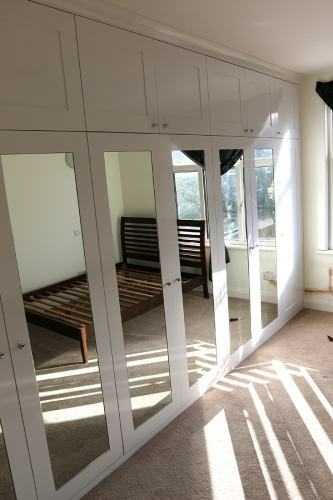 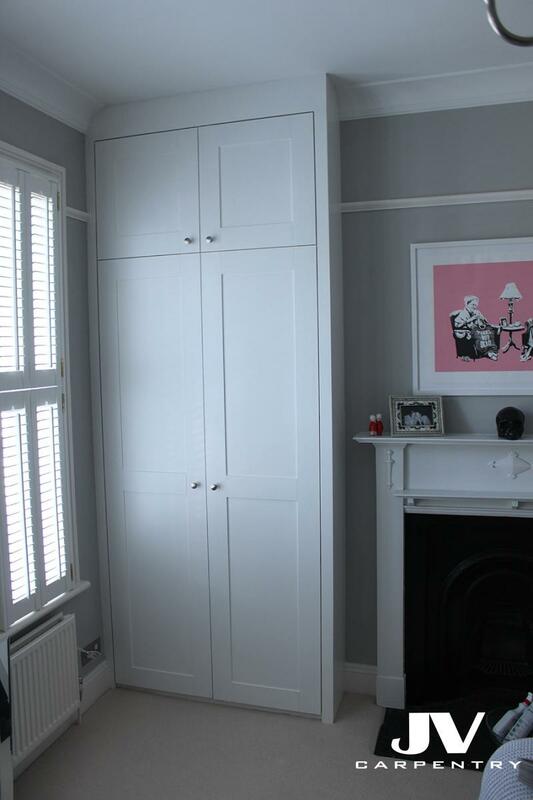 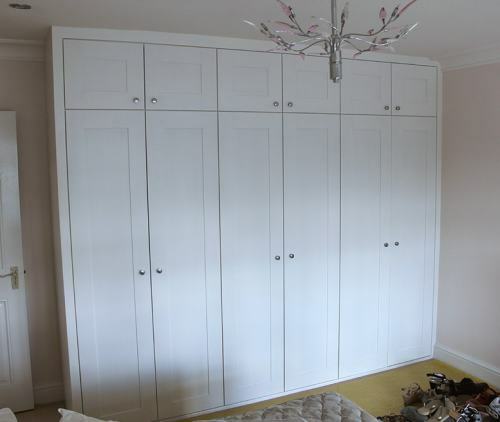 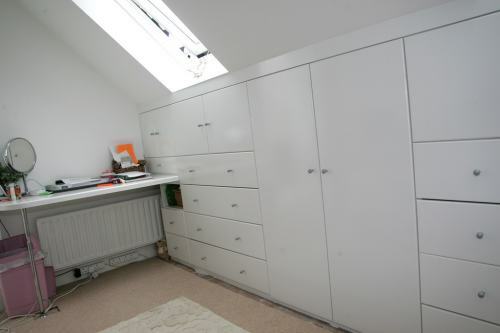 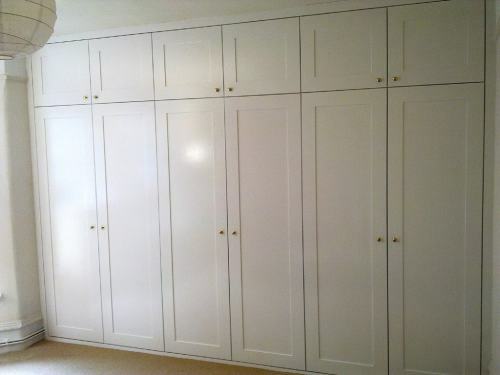 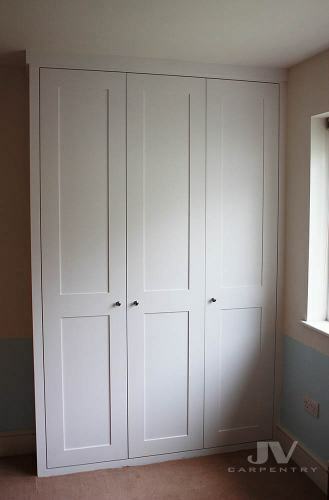 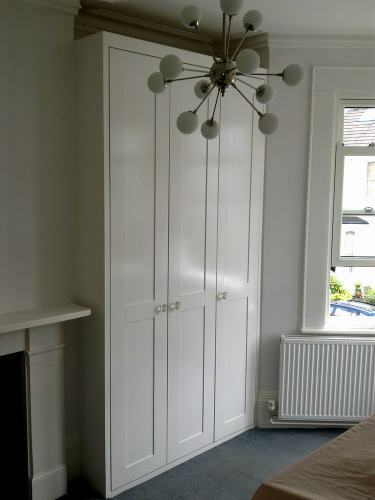 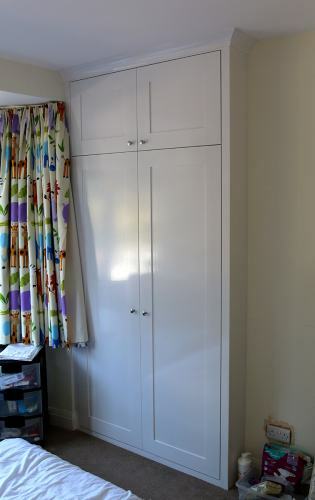 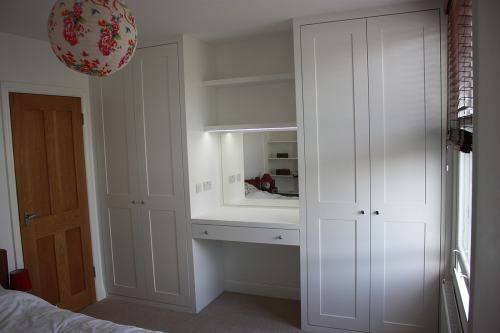 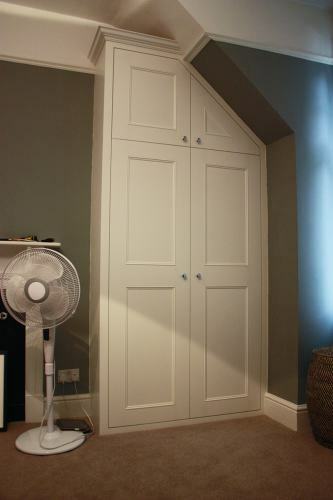 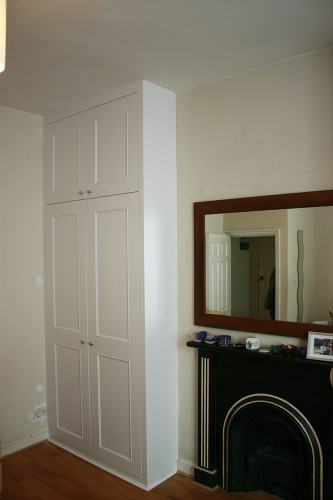 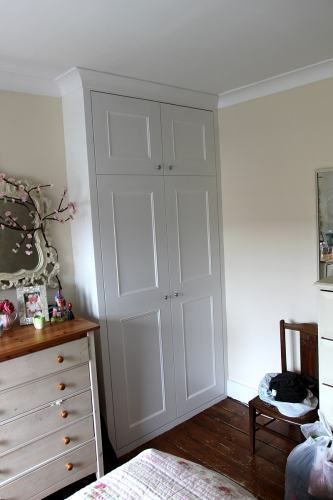 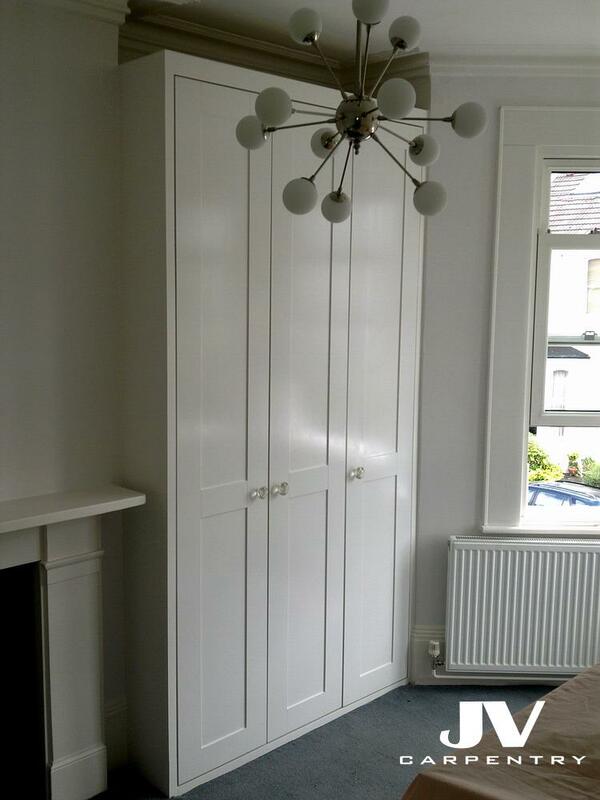 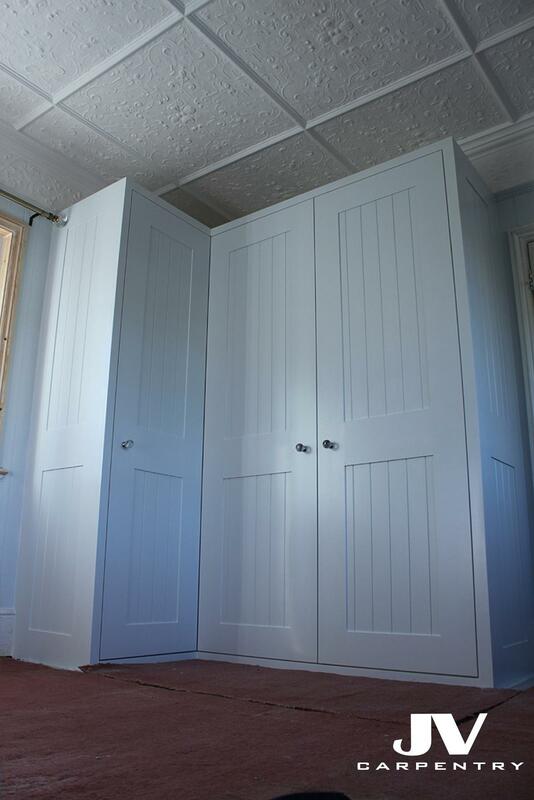 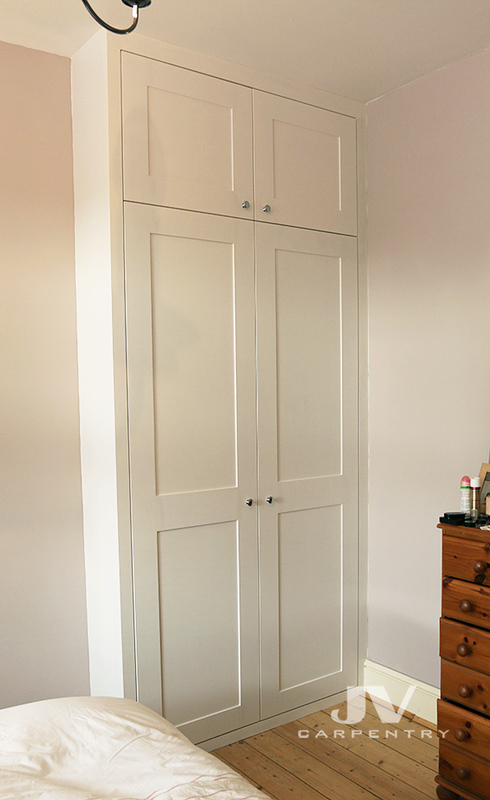 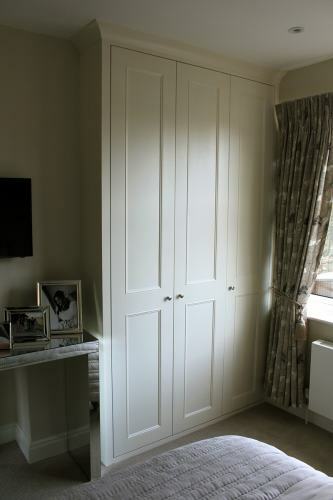 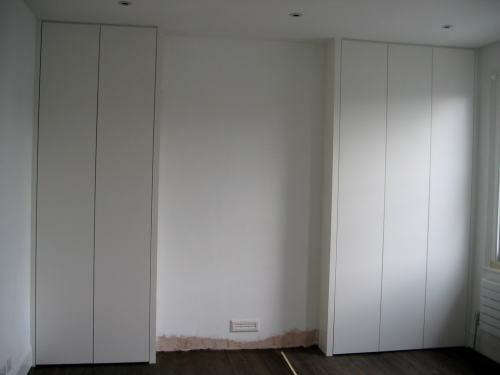 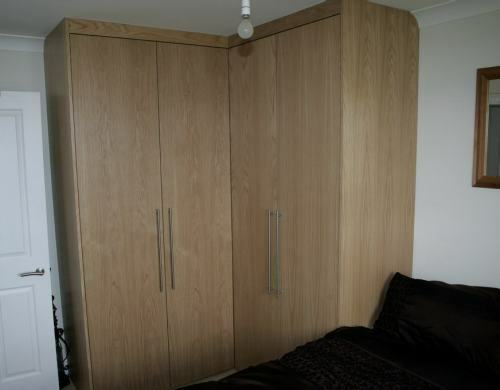 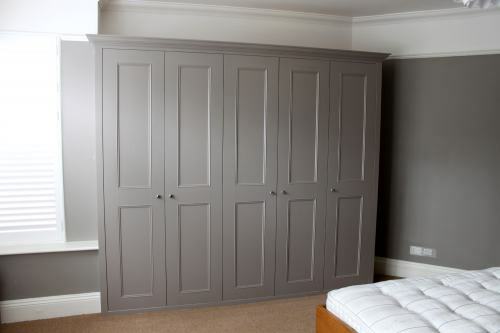 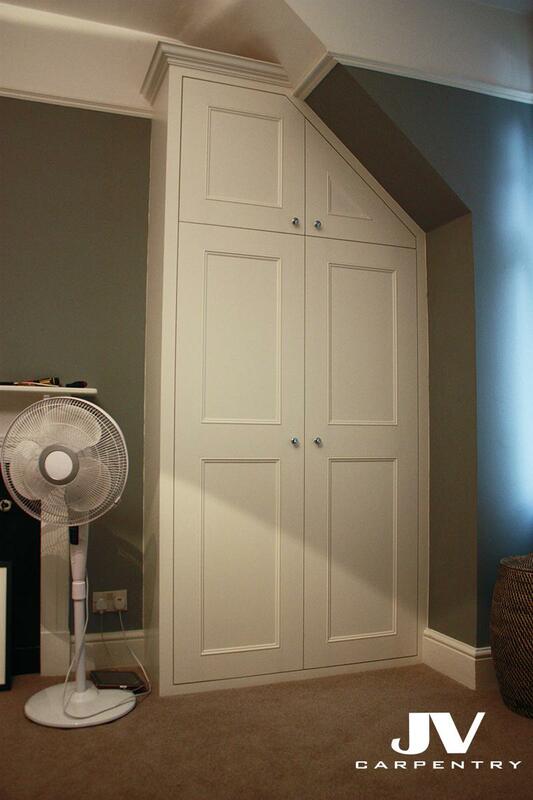 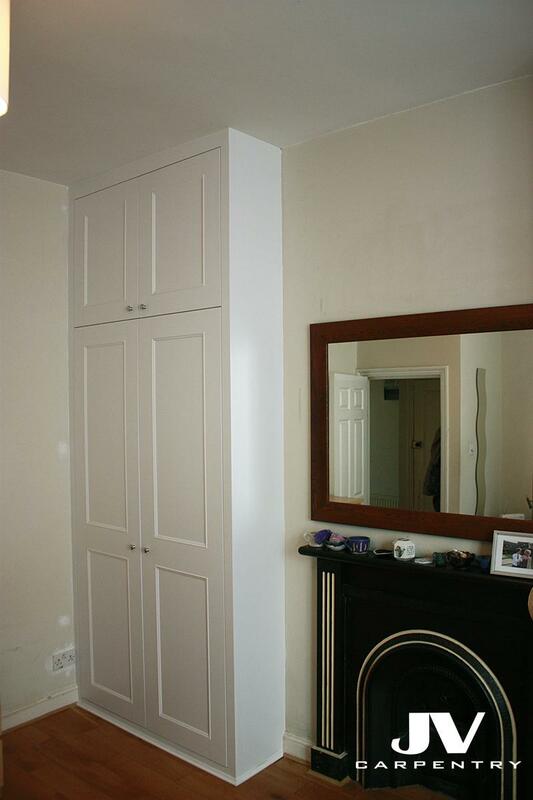 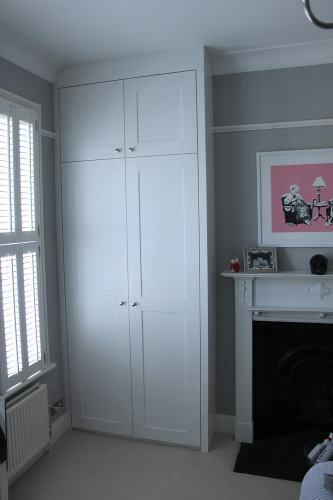 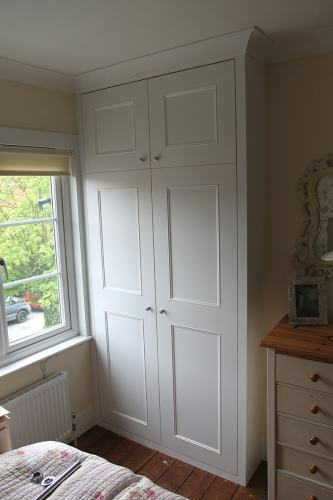 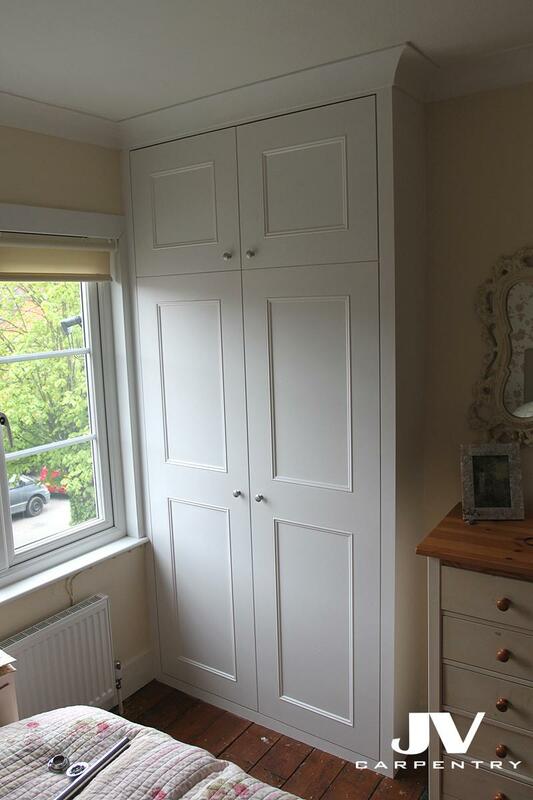 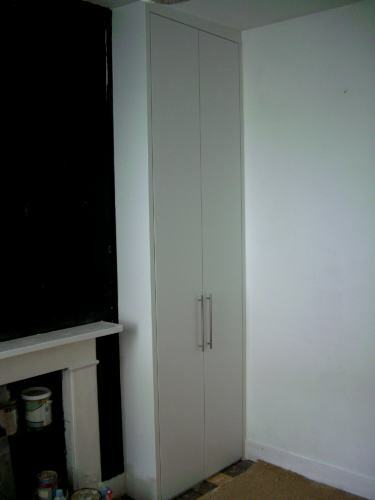 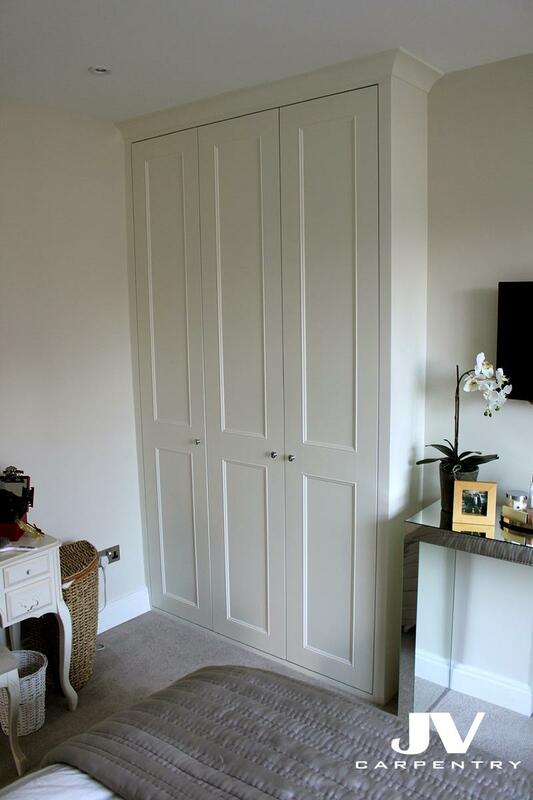 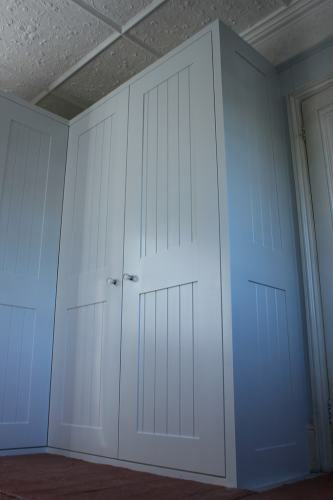 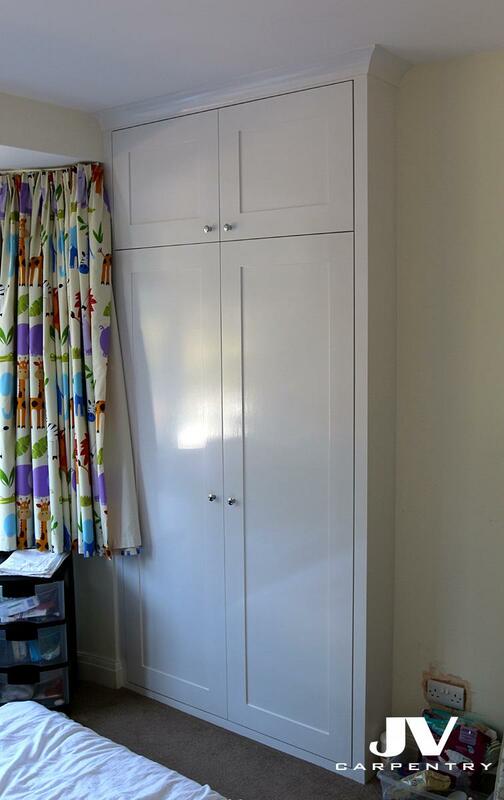 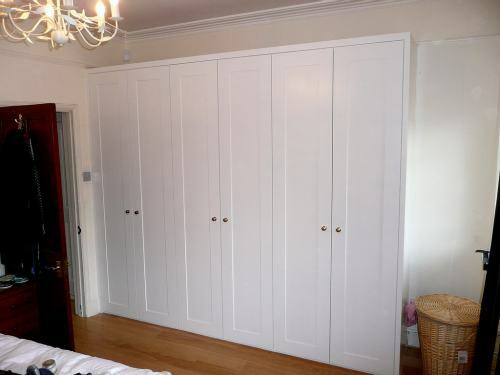 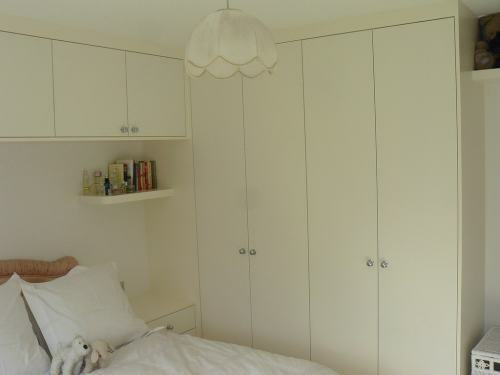 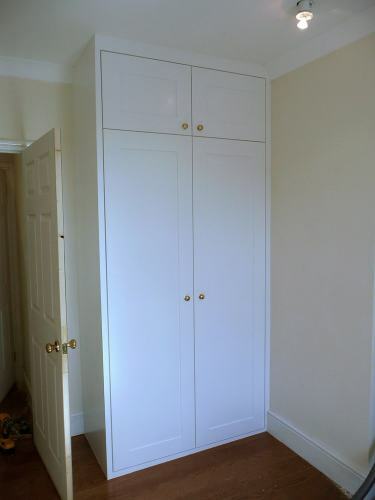 We can create custom-made fitted wardrobes which will fit perfectly into your space. 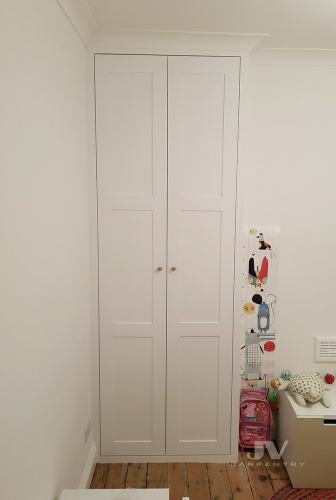 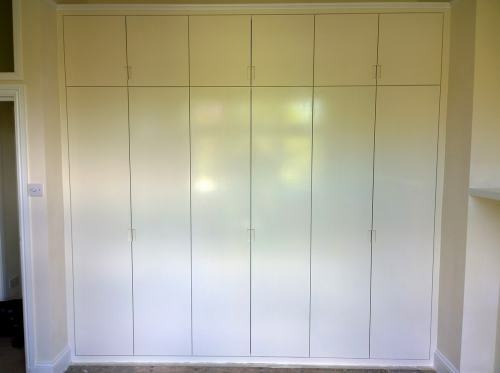 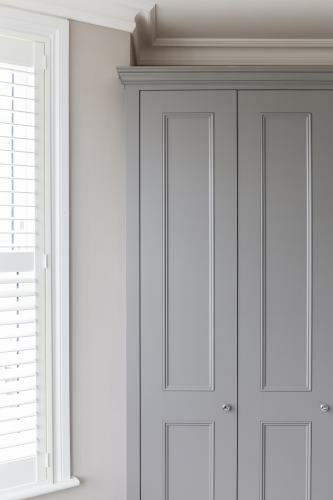 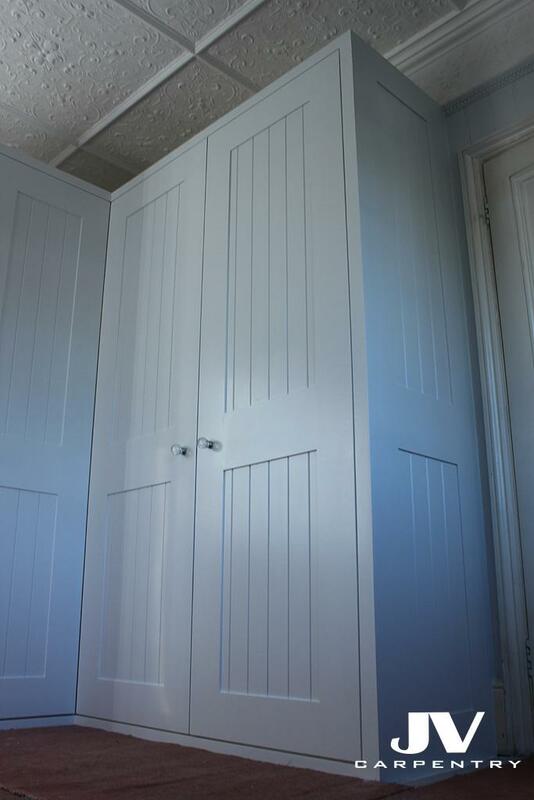 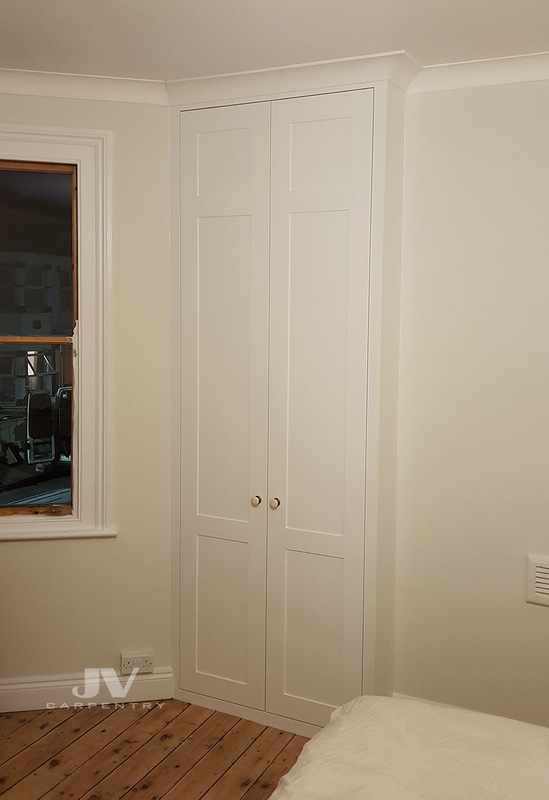 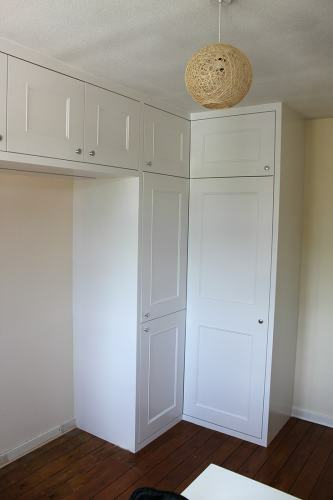 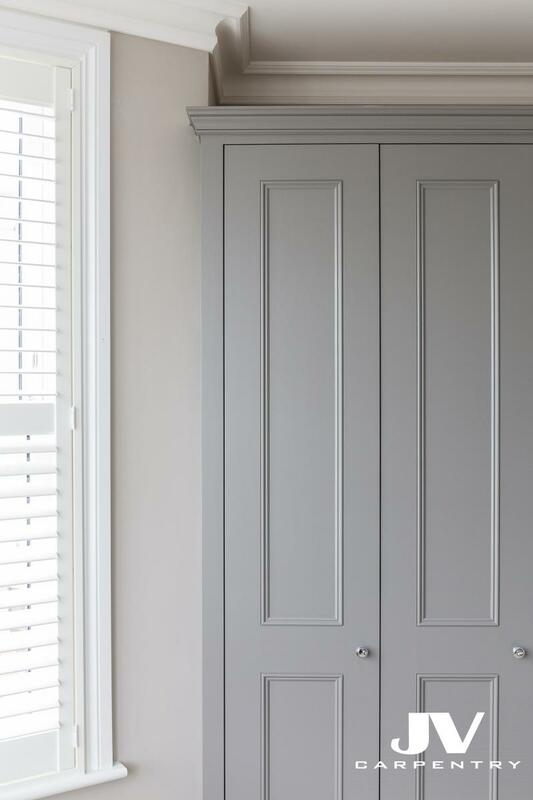 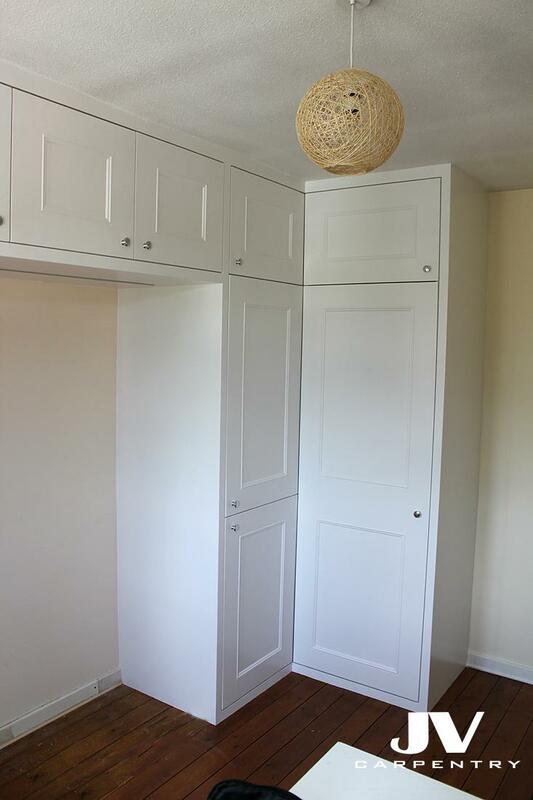 All of our fitted wardrobes are made using MDF materials; they can be painted to your specifications or left unpainted for you to arrange your own painter do the rest. 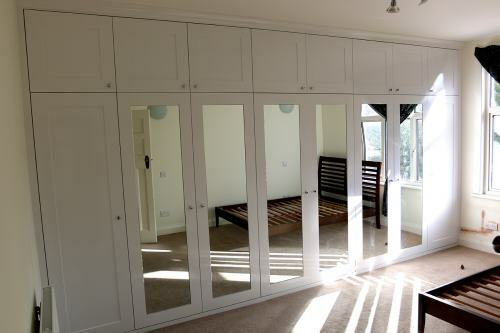 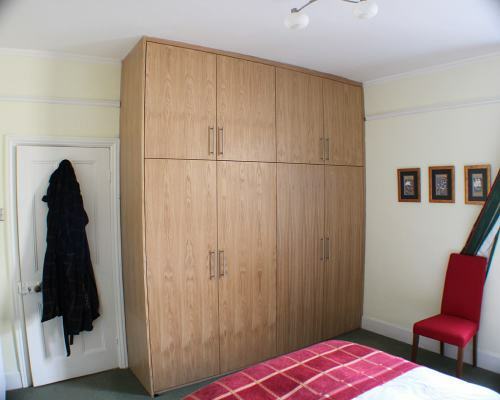 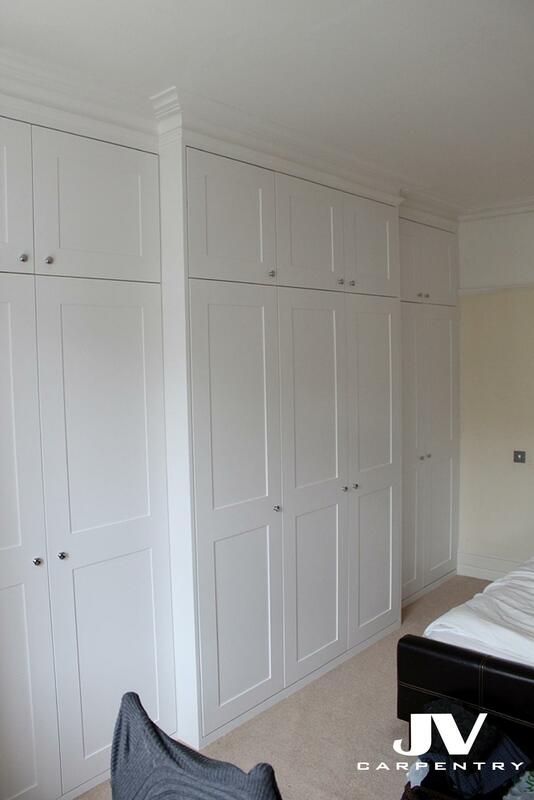 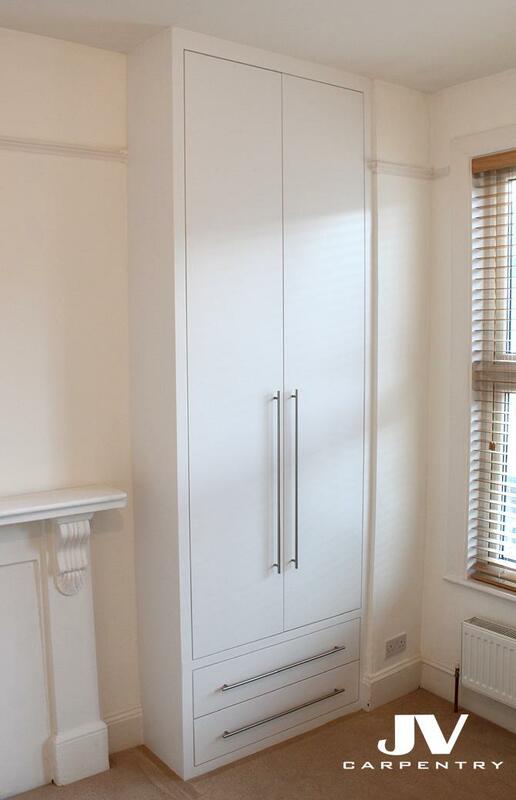 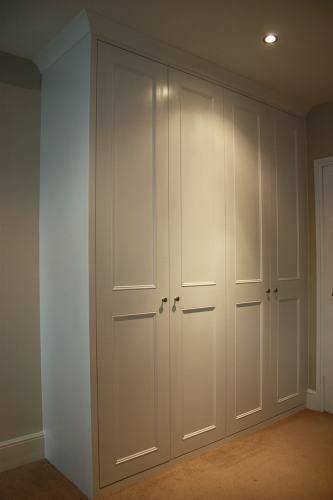 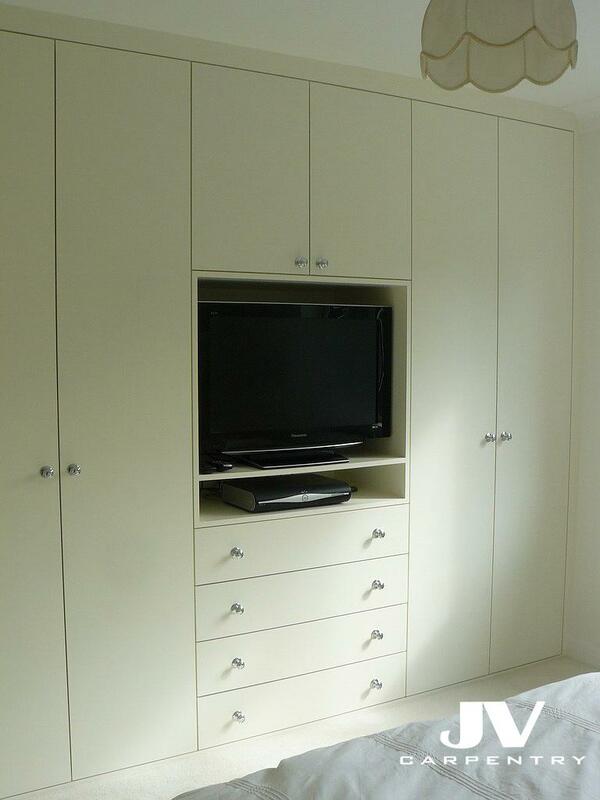 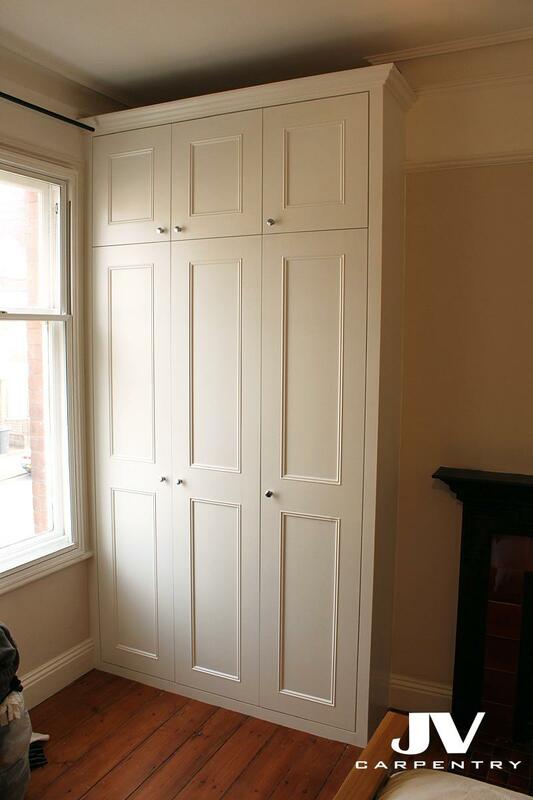 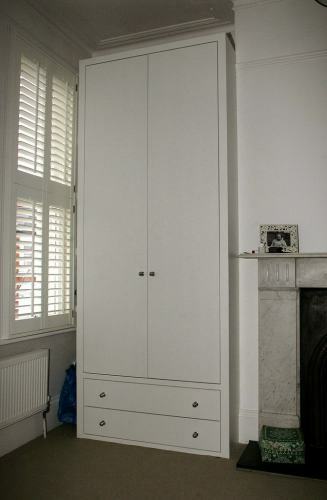 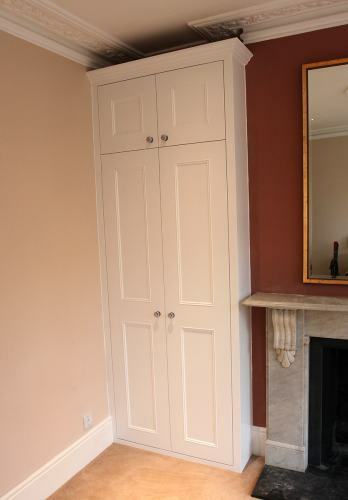 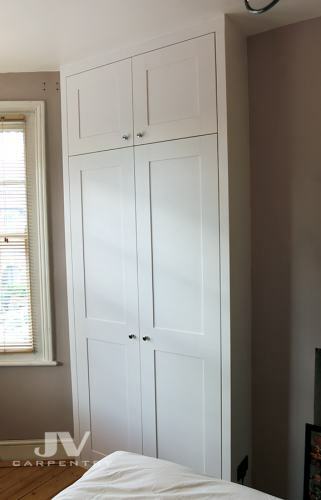 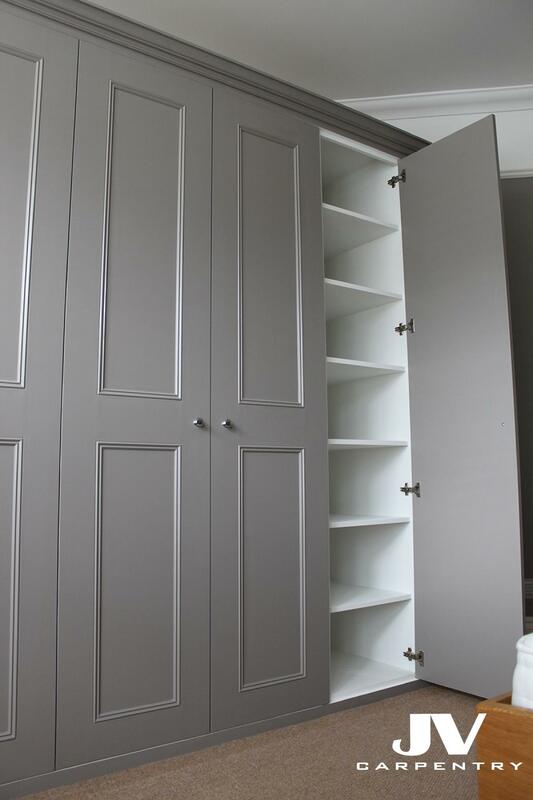 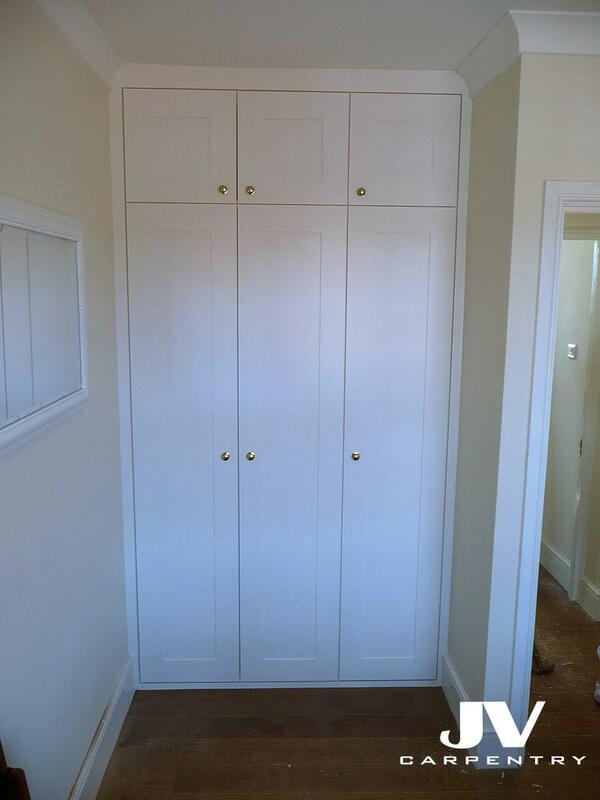 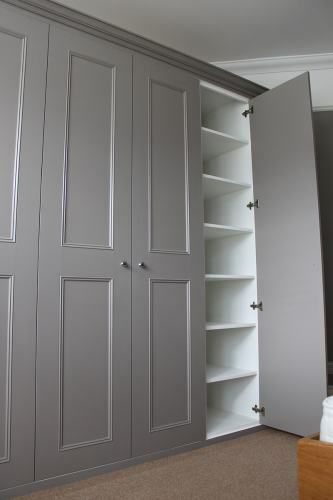 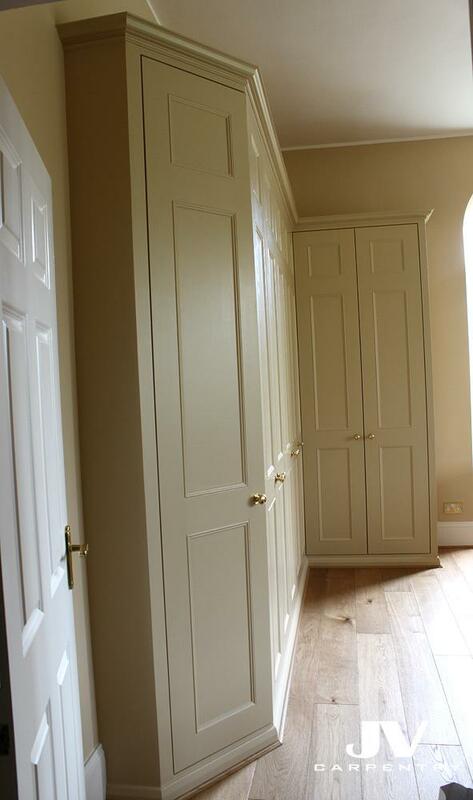 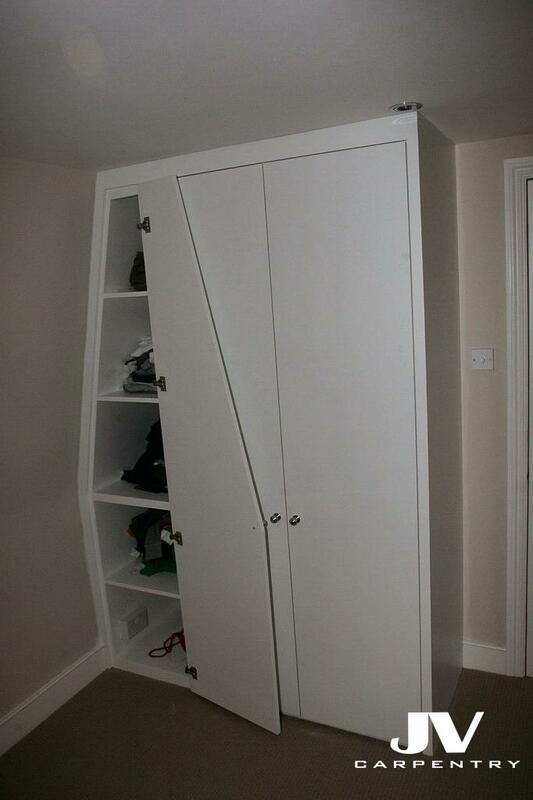 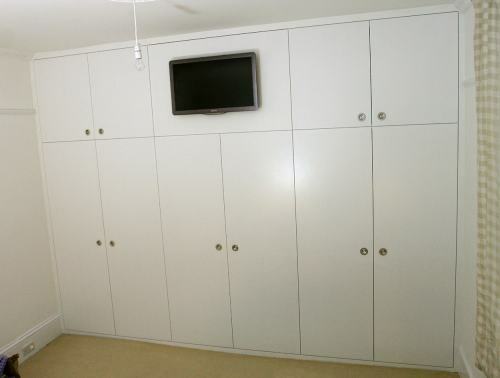 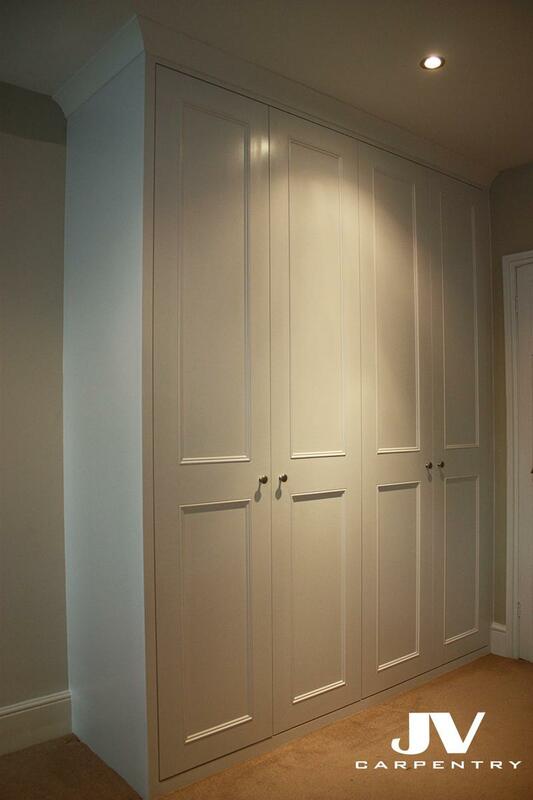 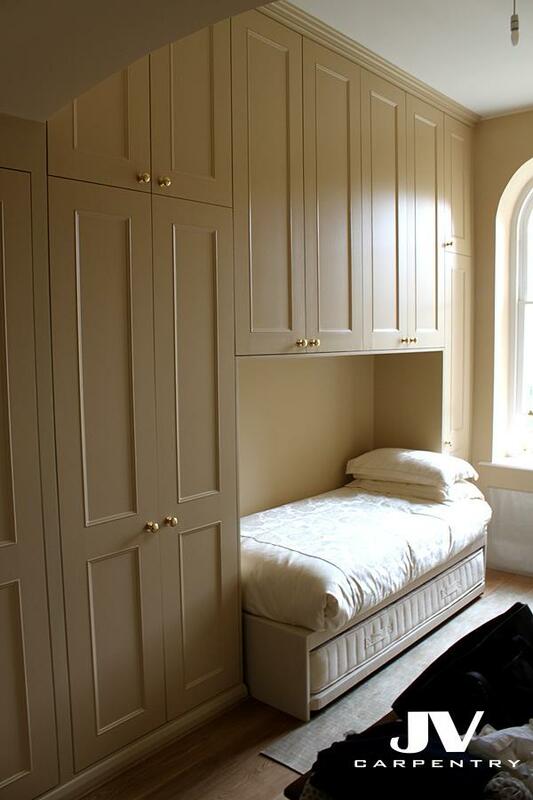 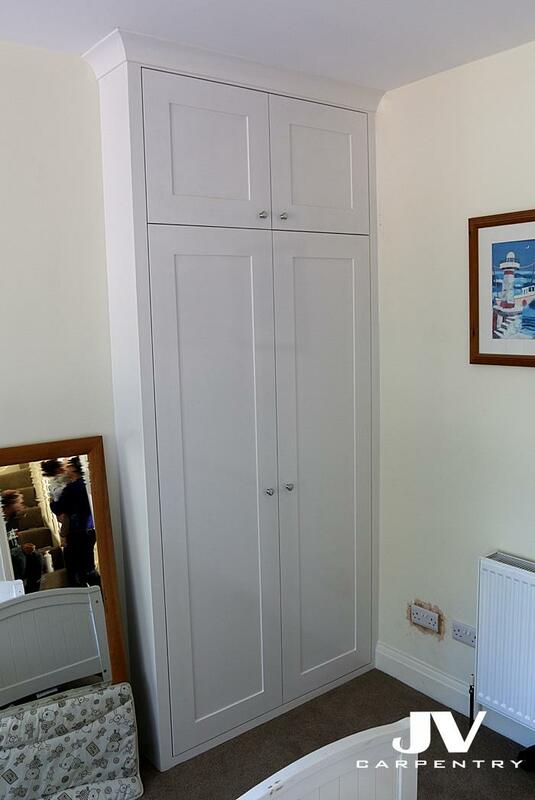 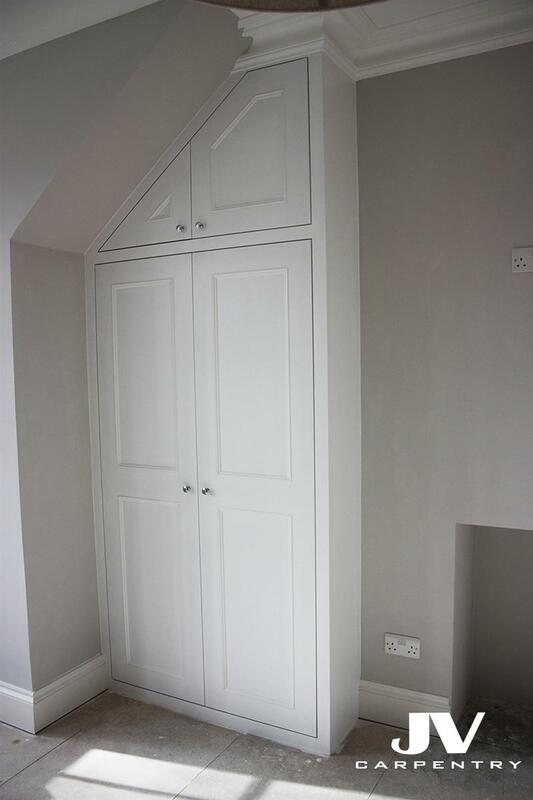 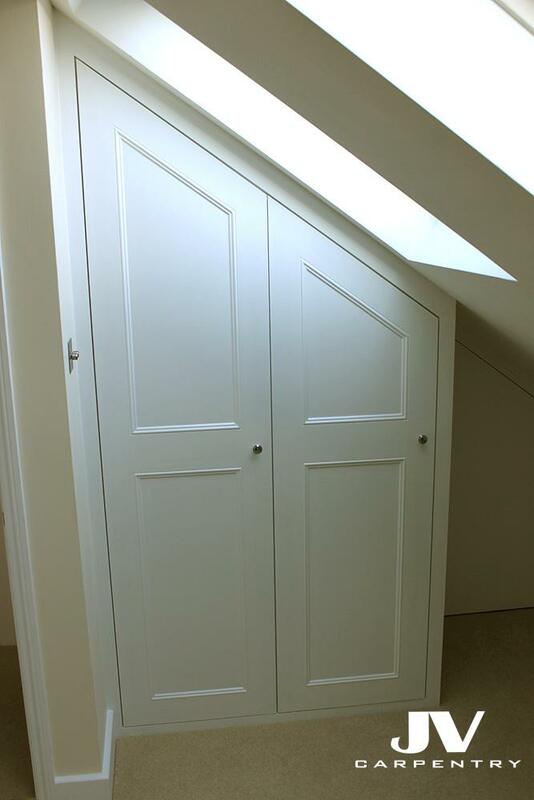 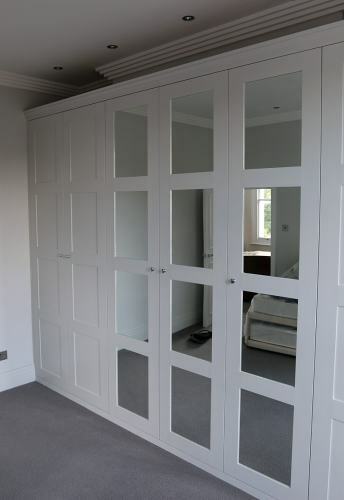 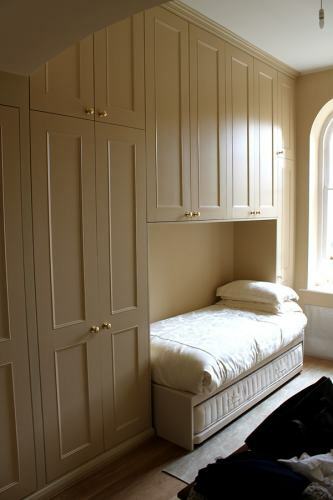 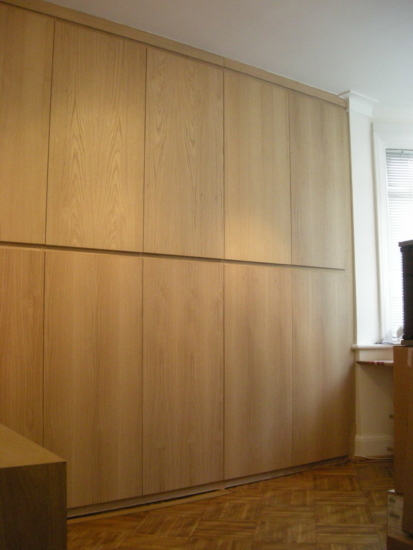 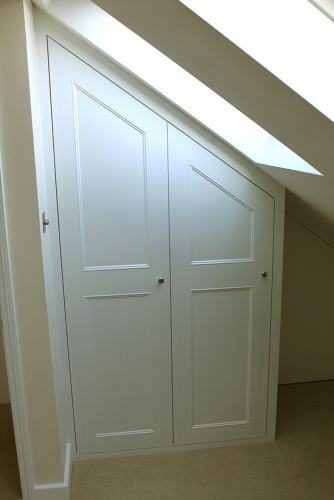 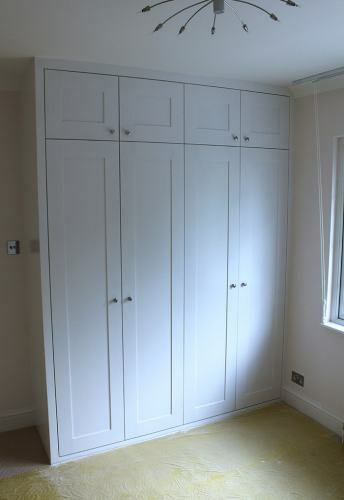 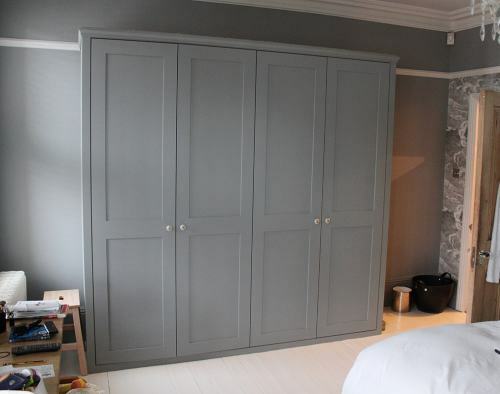 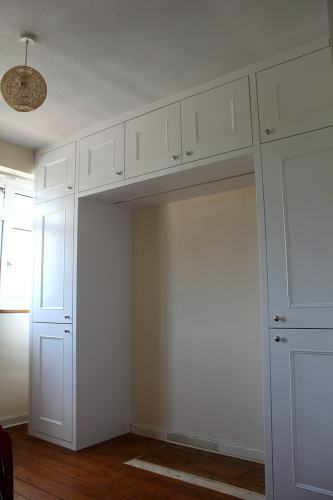 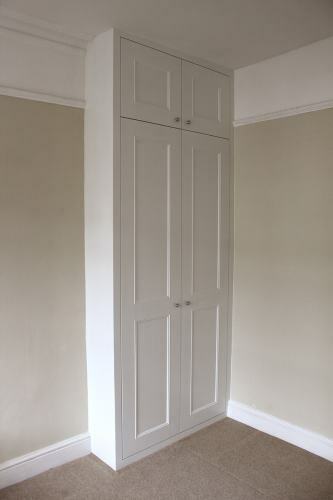 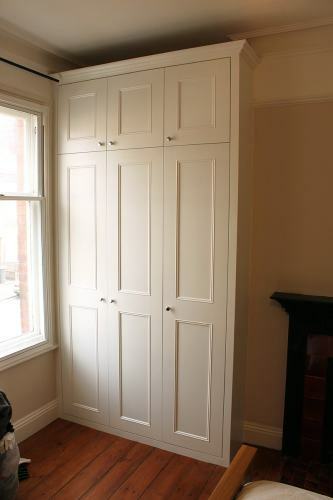 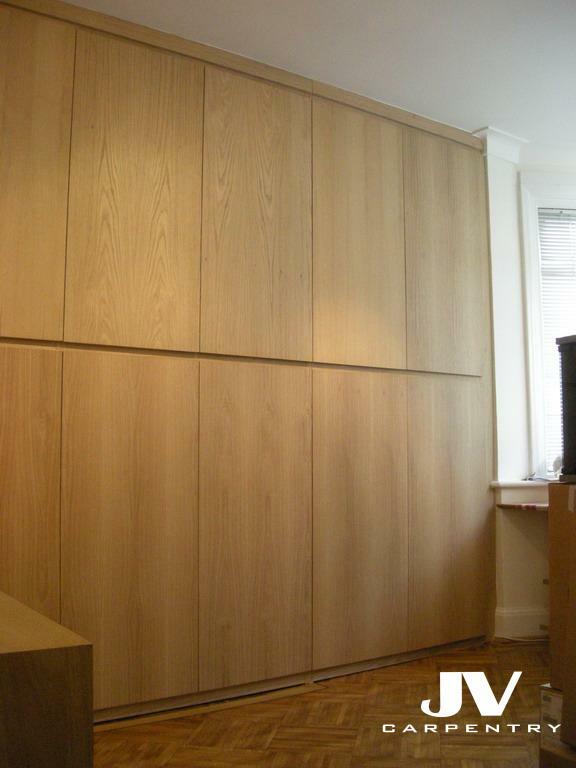 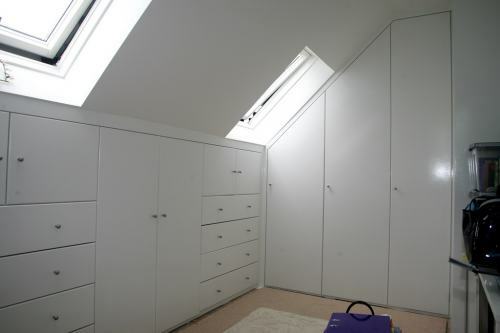 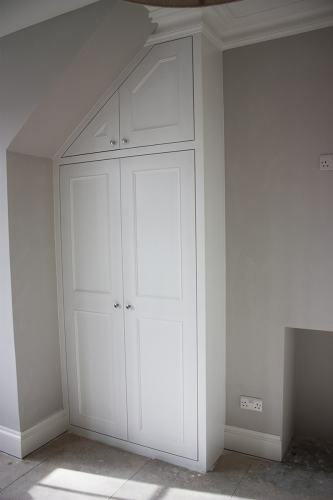 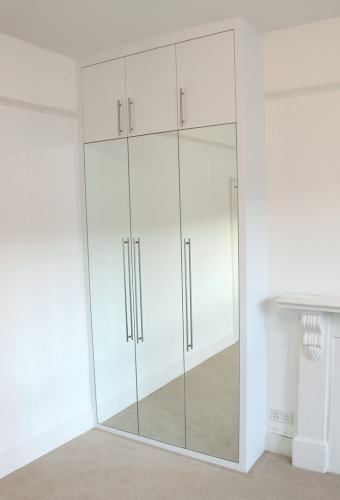 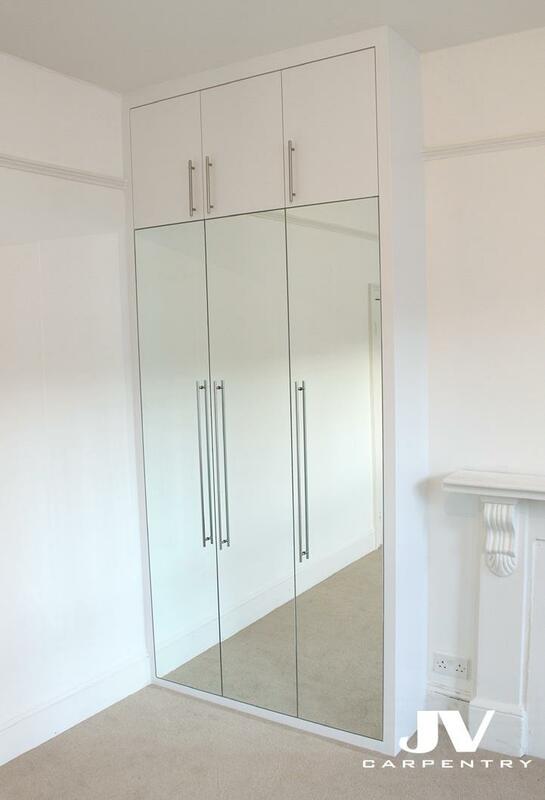 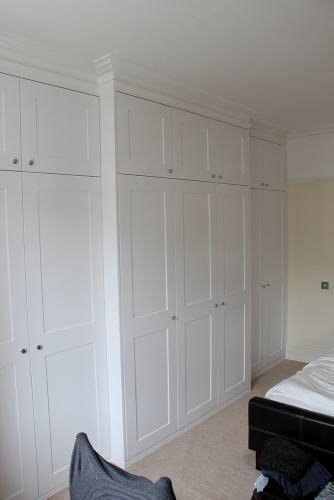 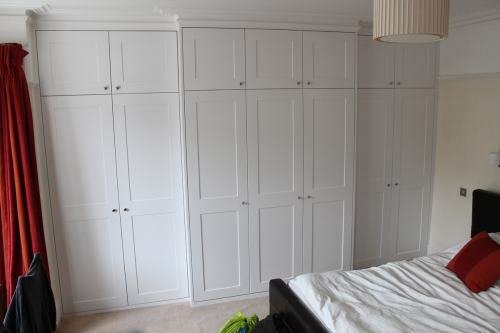 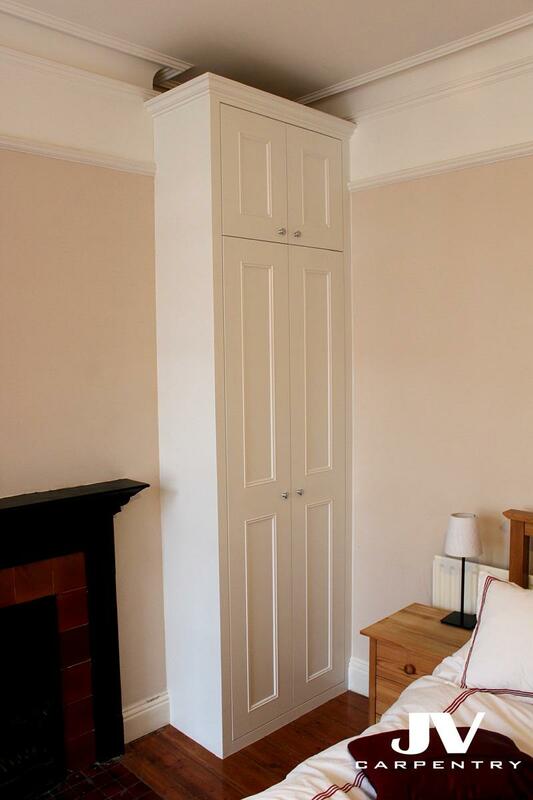 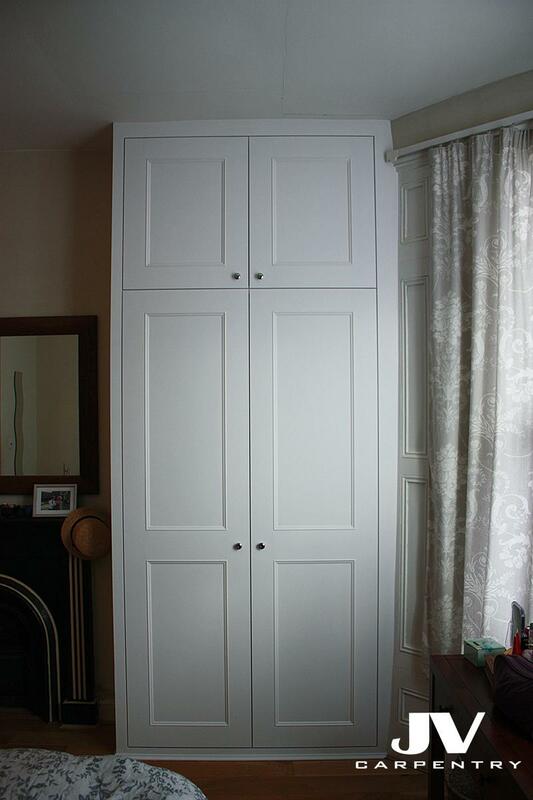 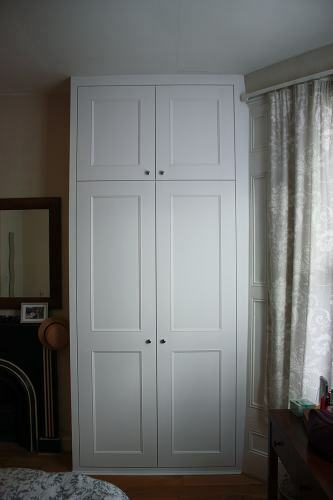 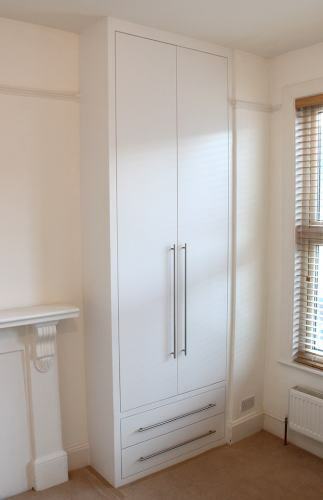 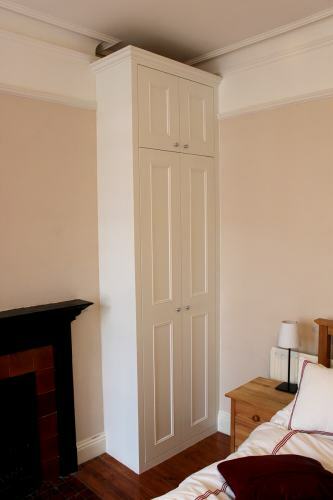 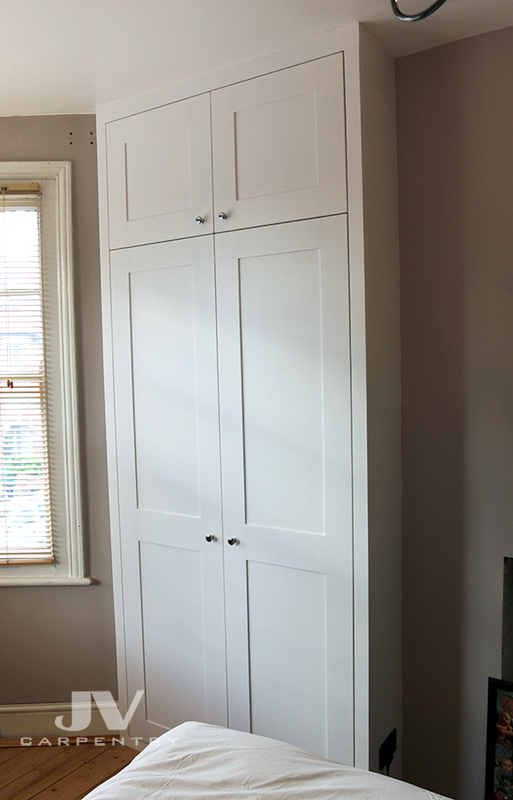 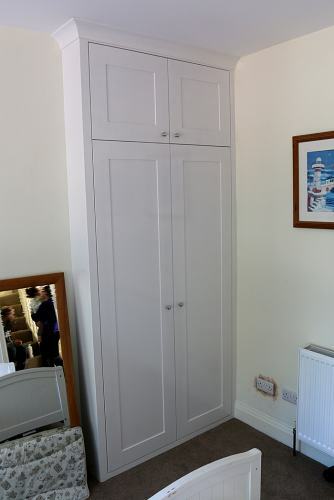 Our bespoke wardrobes are perfect for the property that requires more storage space. 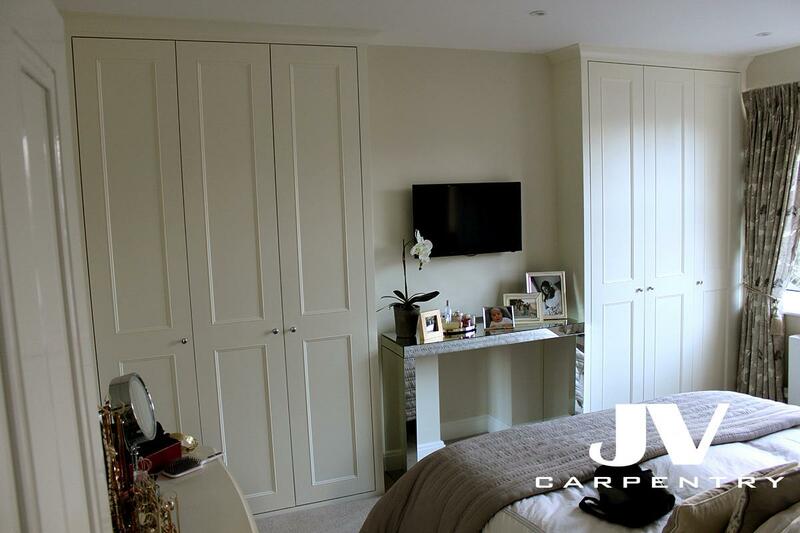 Our goal is to create fitted wardrobes that you will love. We work with our clients and discuss all the details and measure your clothes, to ensure that we create the perfect piece of furniture which fits your needs. 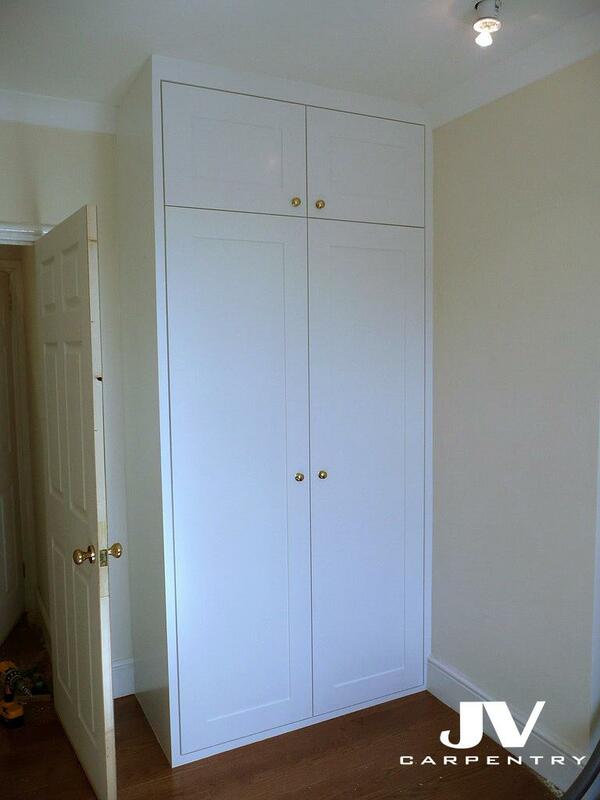 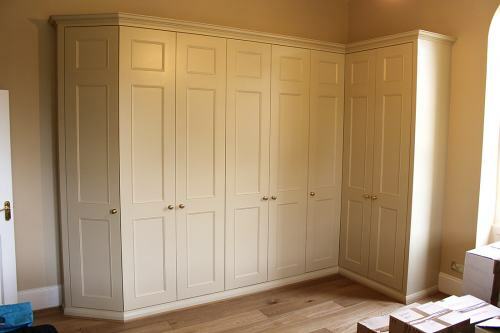 We can create our fitted wardrobes in different style form traditional to contemporary to match your interior design. 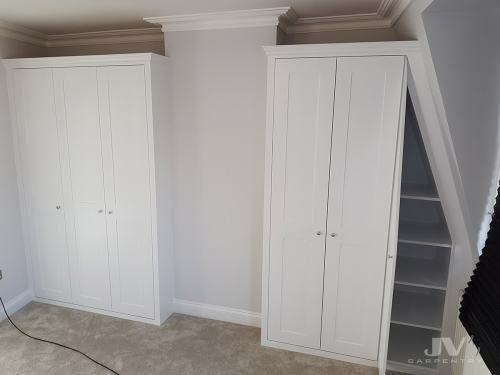 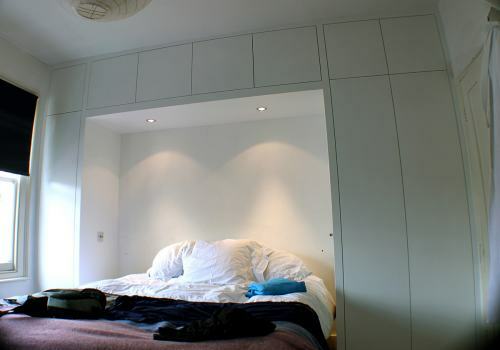 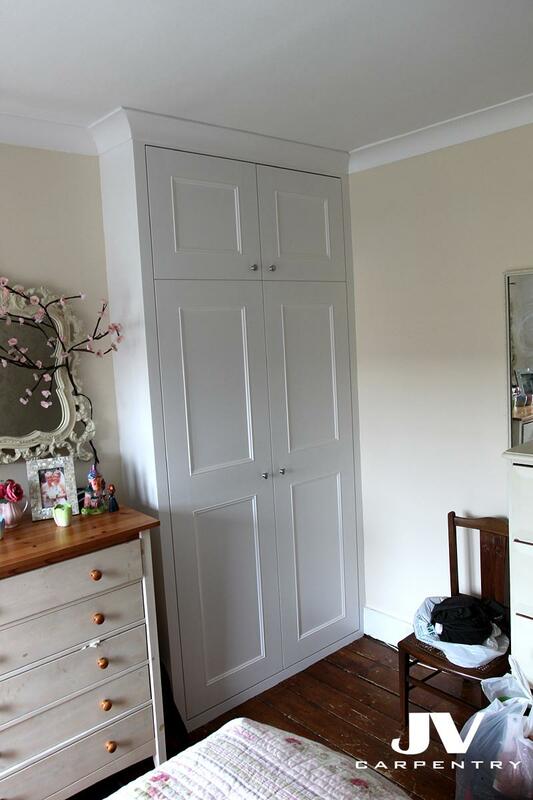 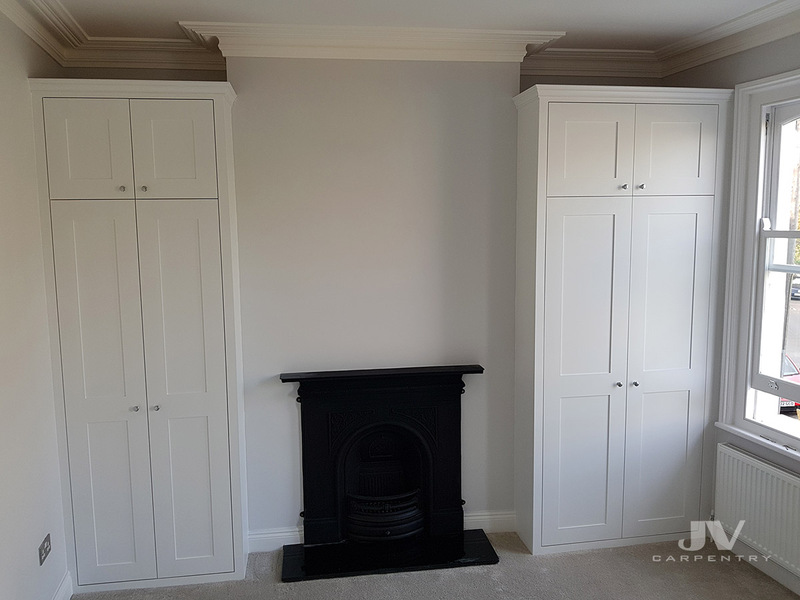 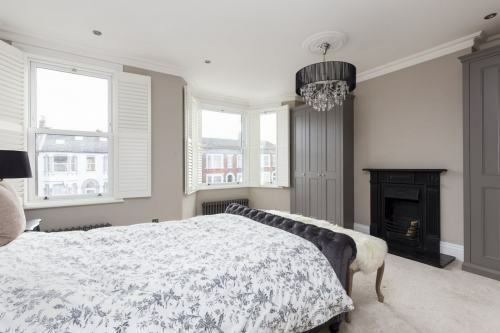 We can create our bedroom fitted wardrobes to any shape of the walls or ceiling, no matter if you have a sloping wall or ceiling our bespoke fitted wardrobes will perfectly fit into any space. 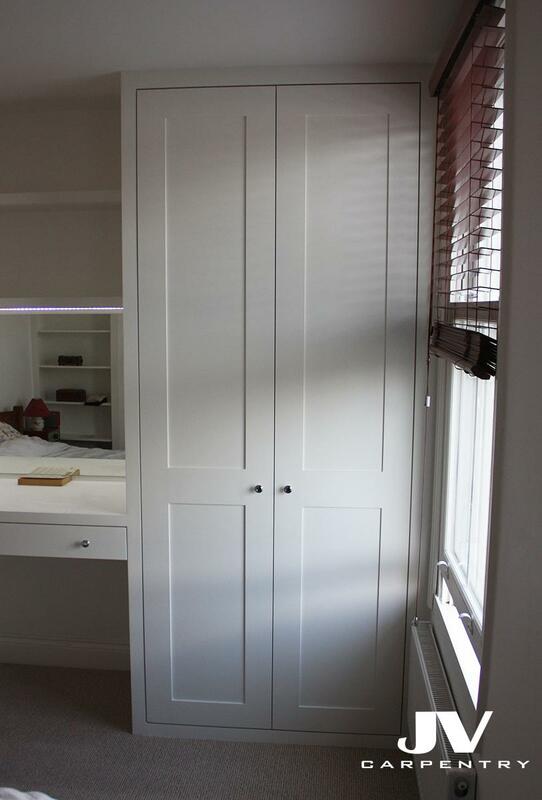 We can add a lot of features inside of our fitted bedroom wardrobes. 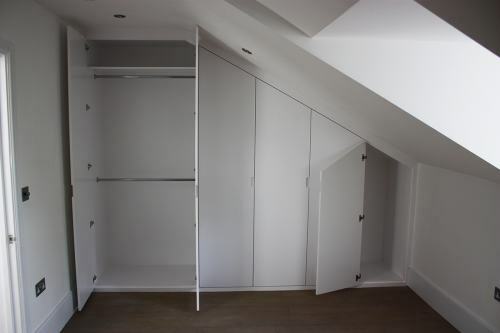 We can make our wardrobes with shelves, hanging bars, drawers, shoe racks and pull-down rails. 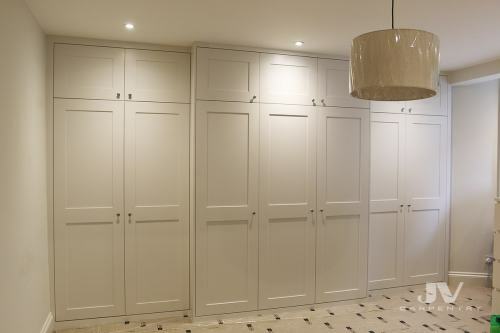 Our built-in wardrobes will last for many decades and provide you with extra storage and bring the beauty to your home.